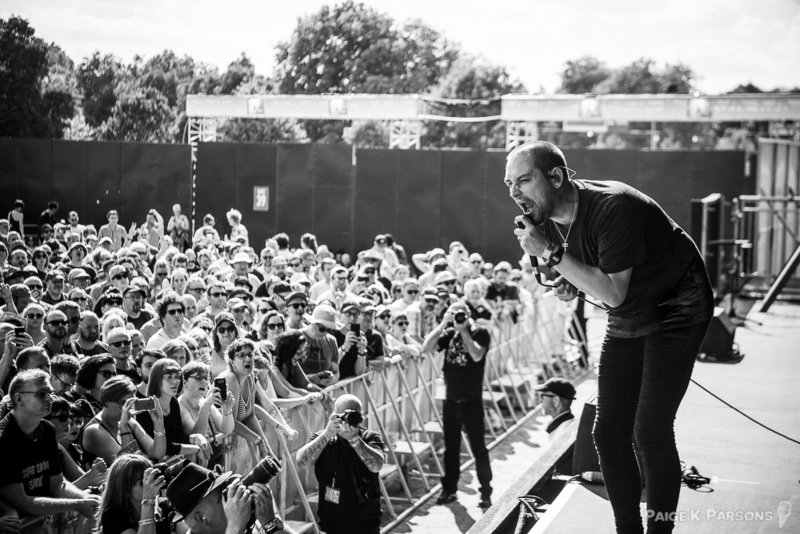 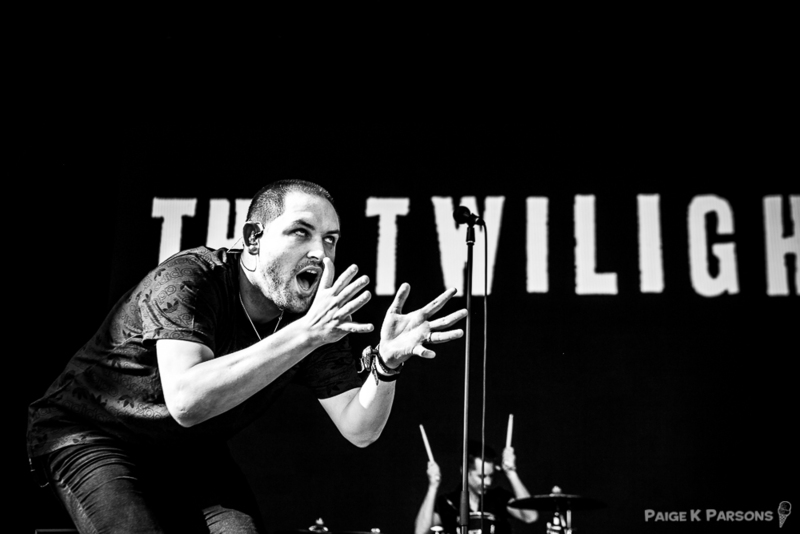 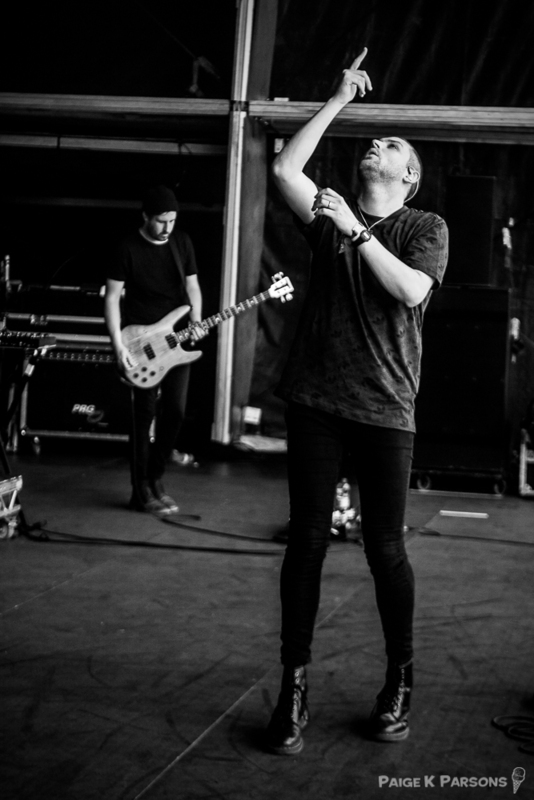 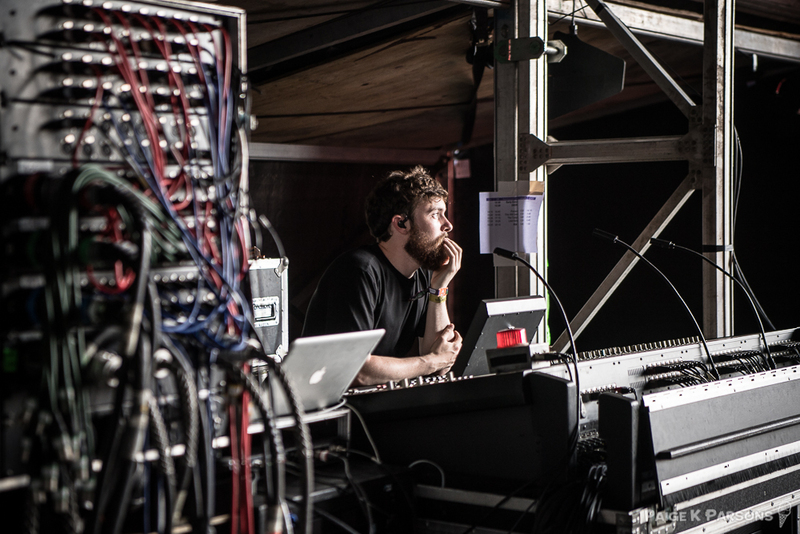 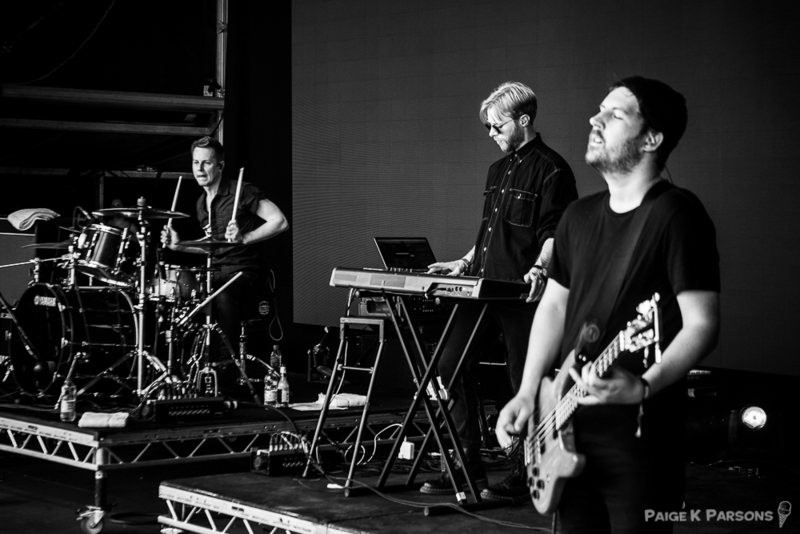 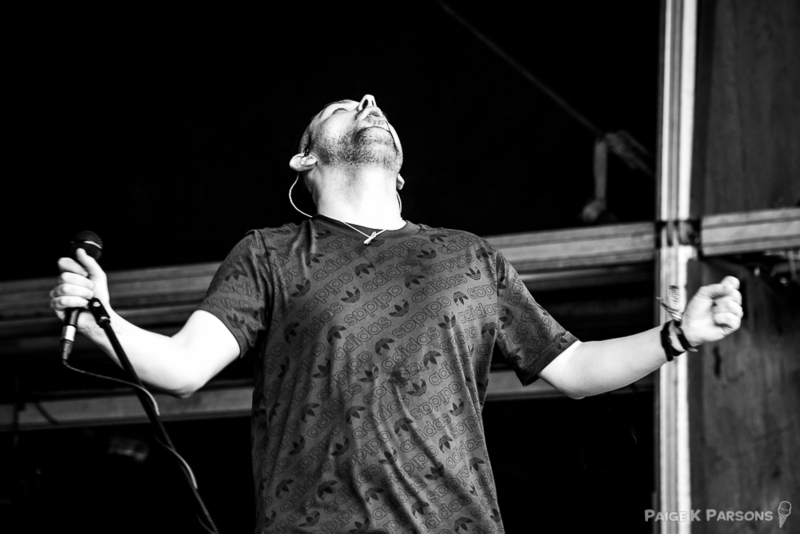 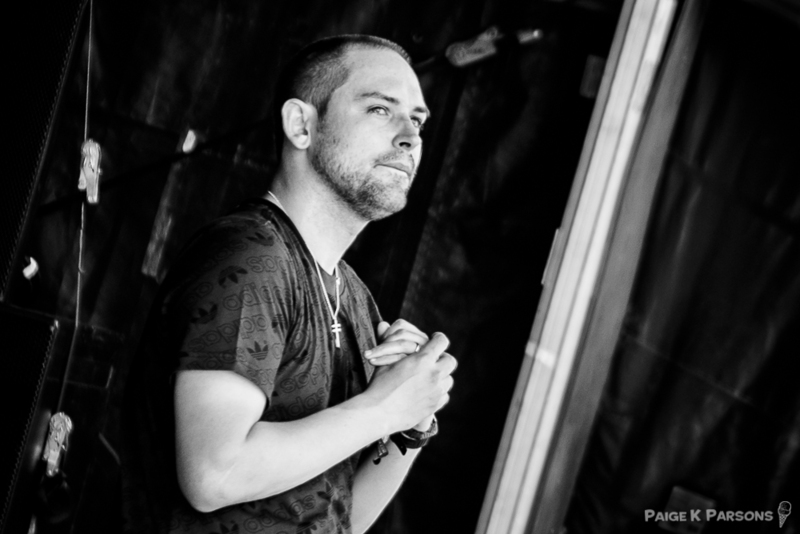 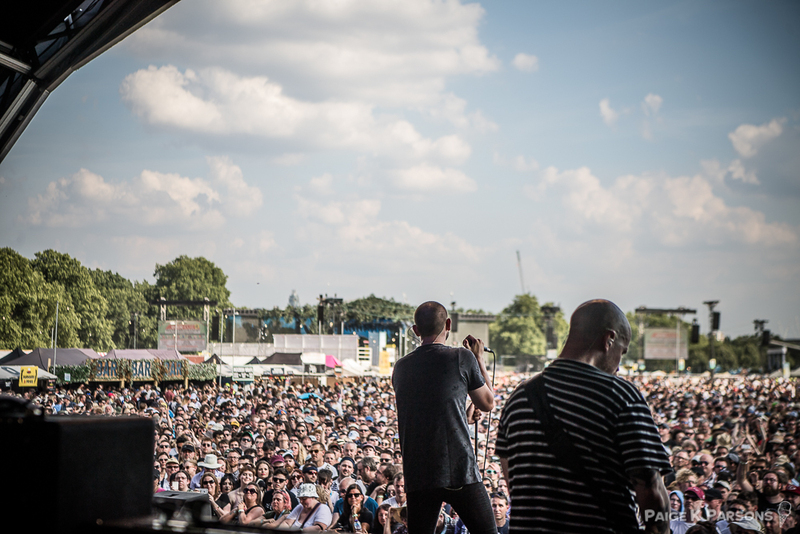 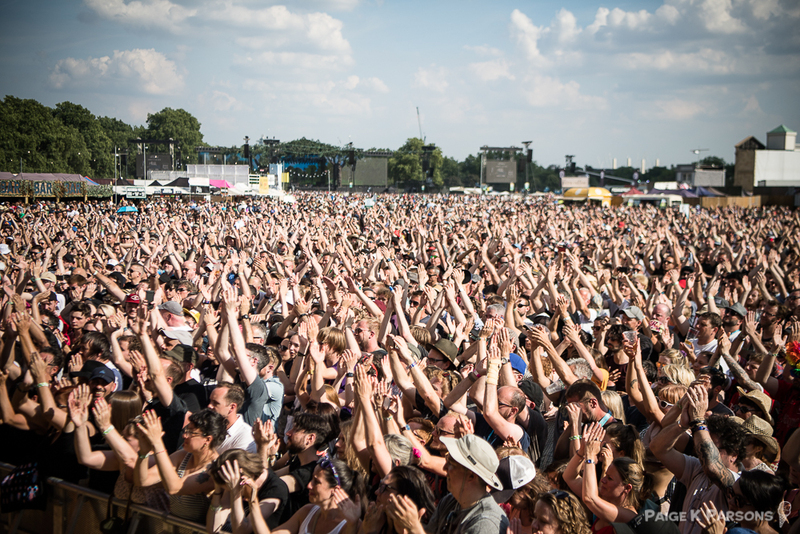 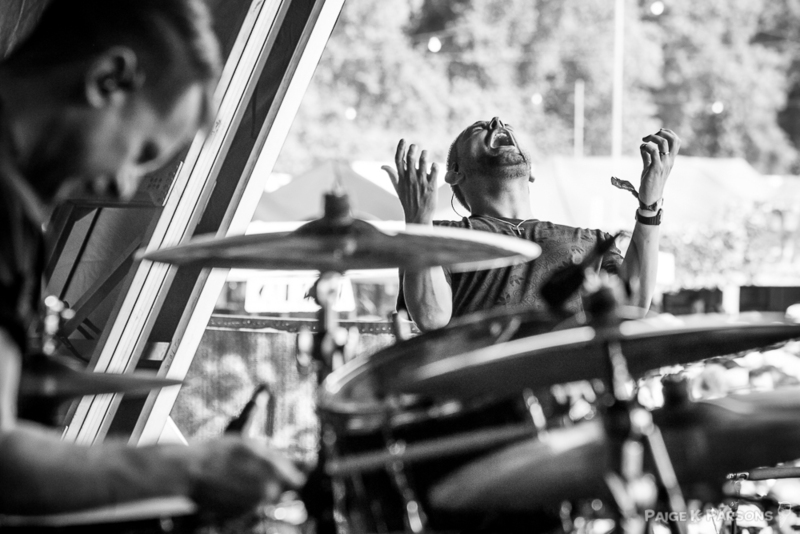 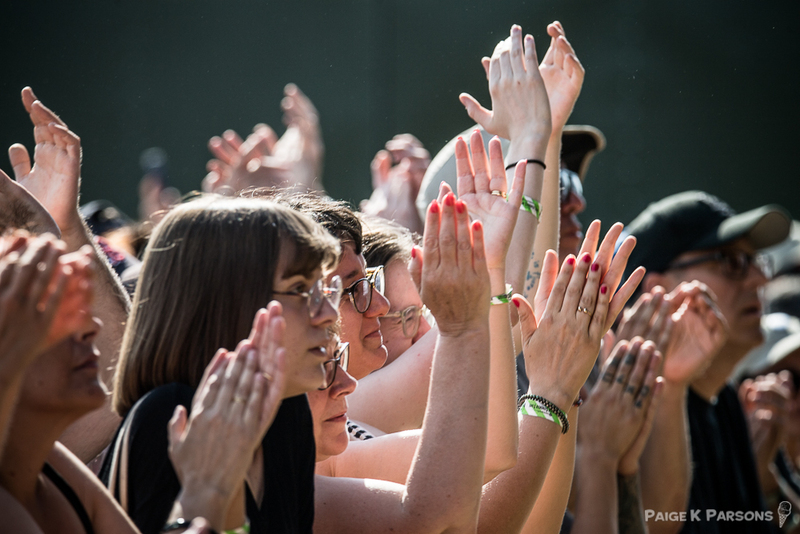 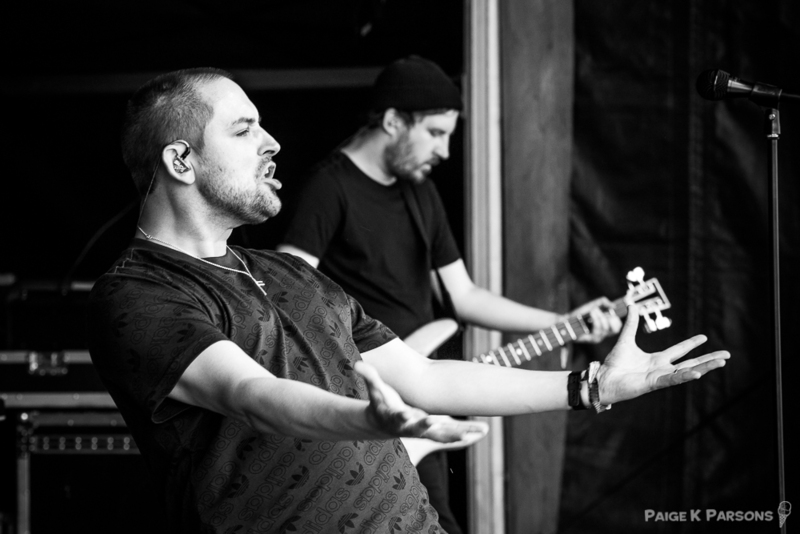 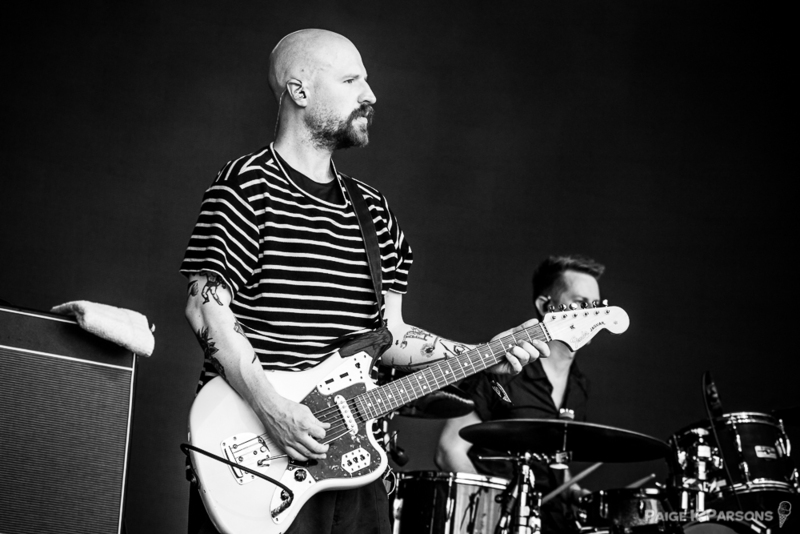 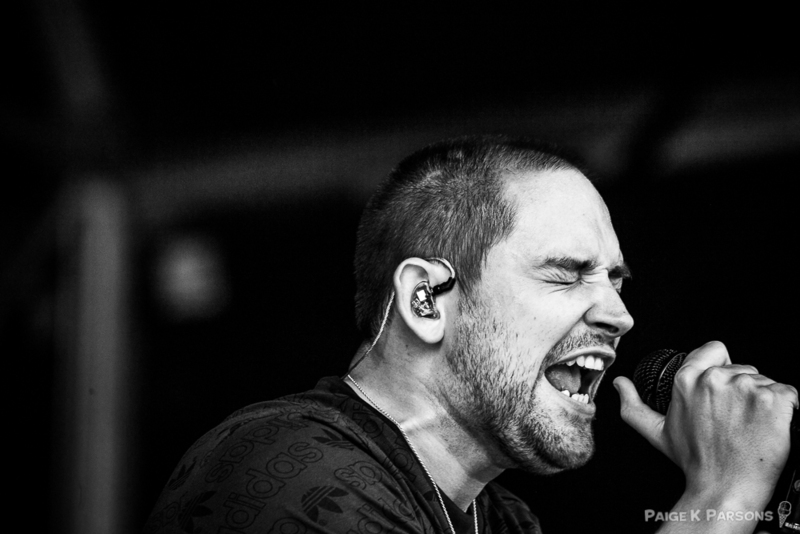 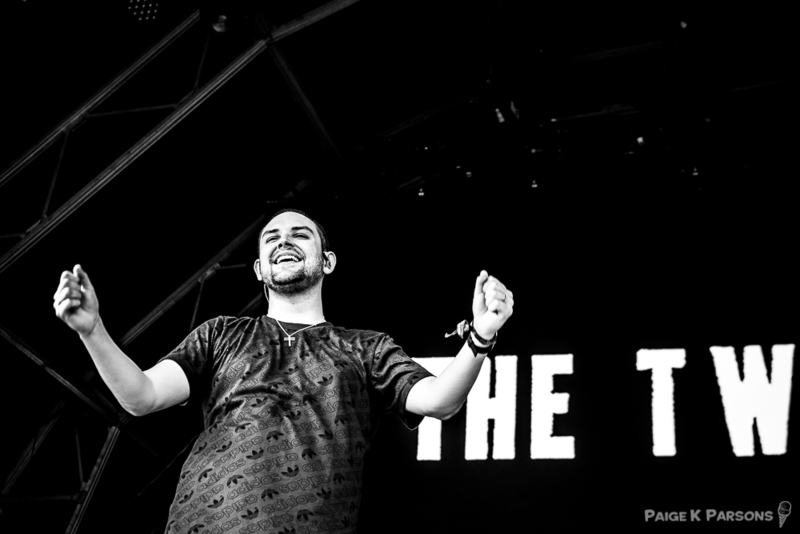 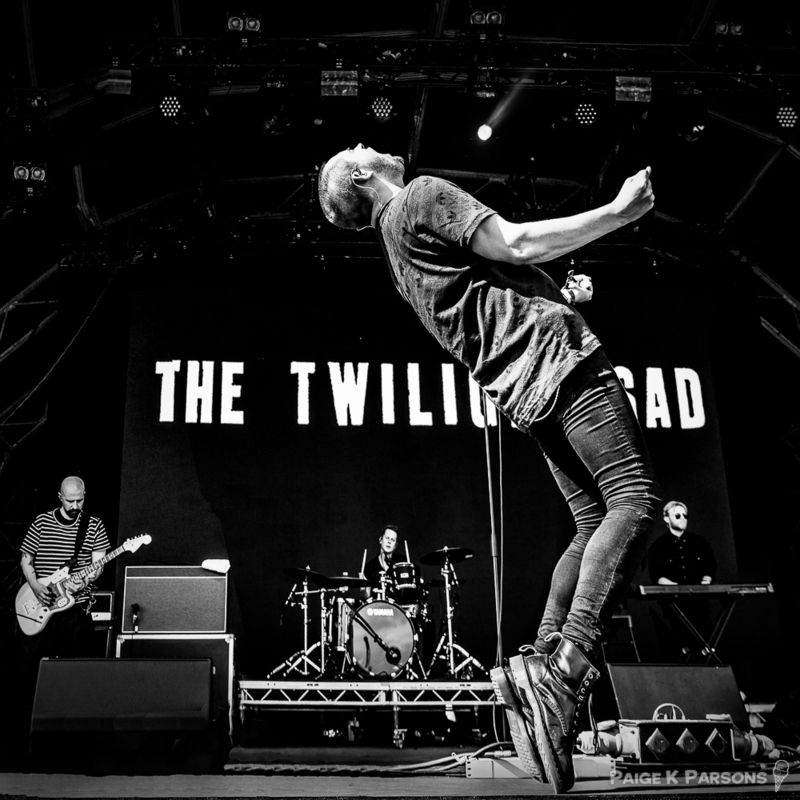 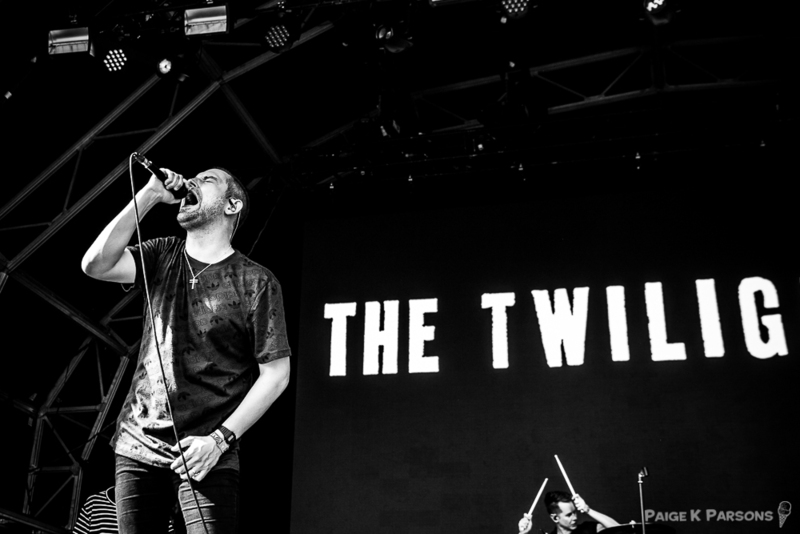 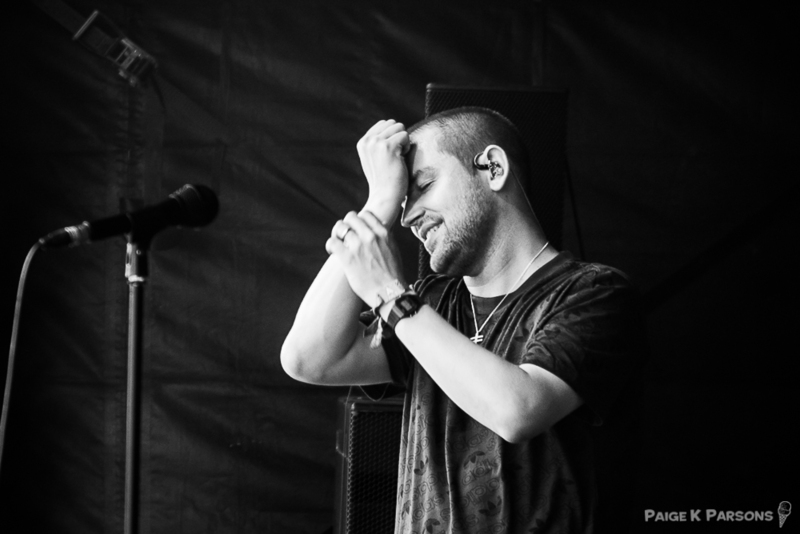 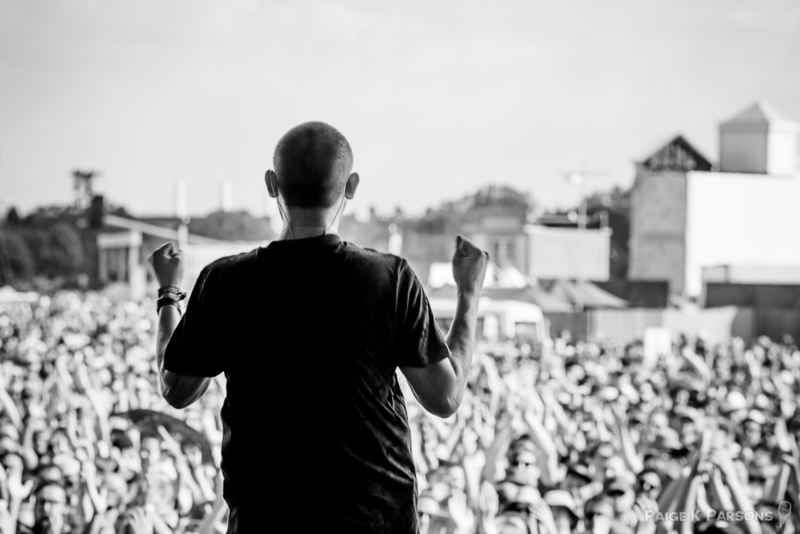 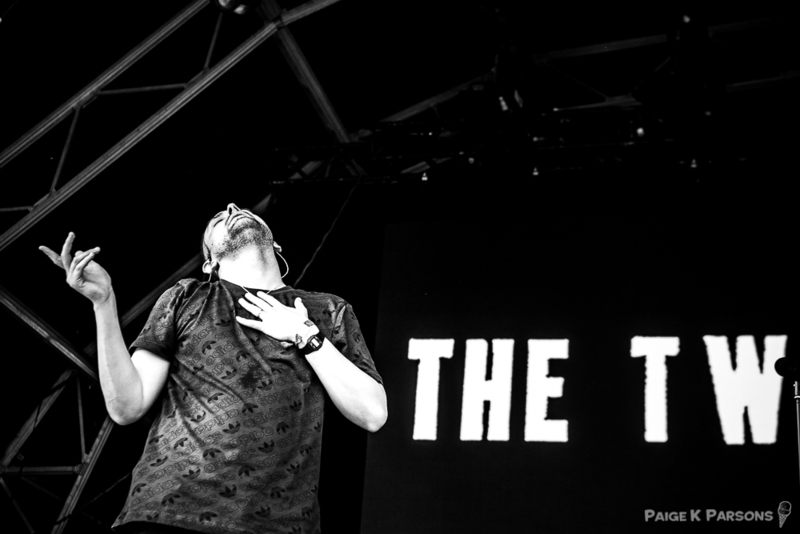 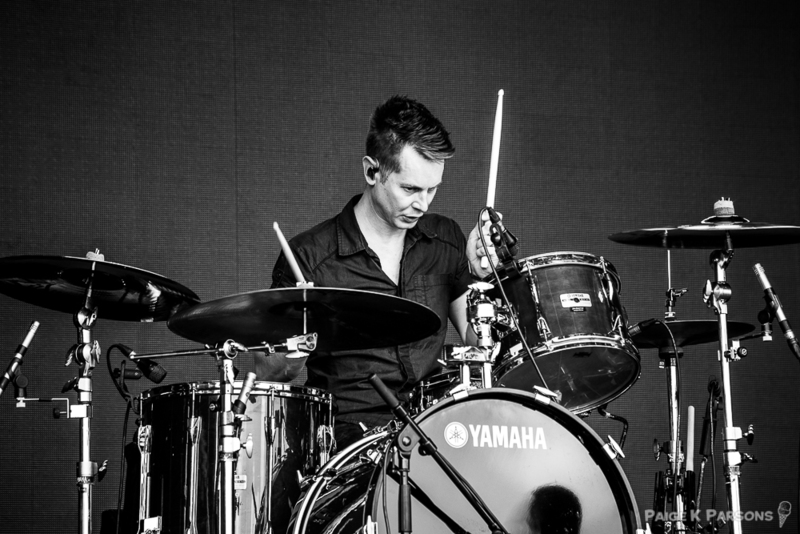 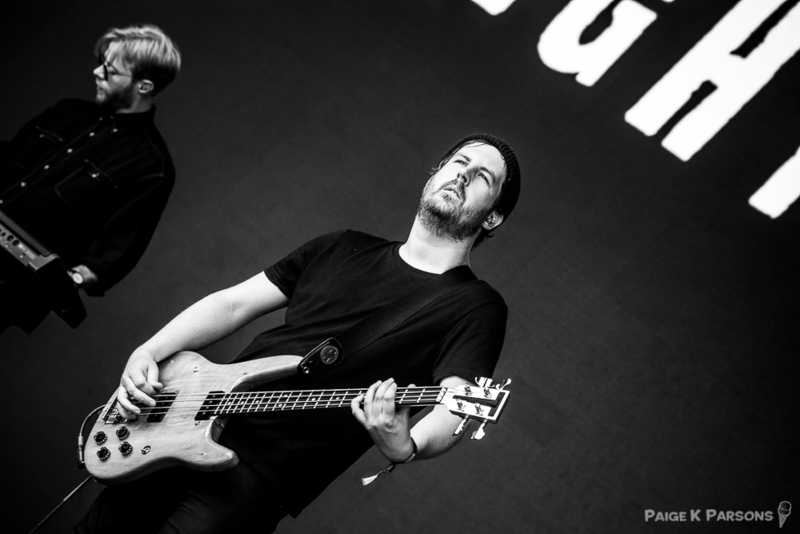 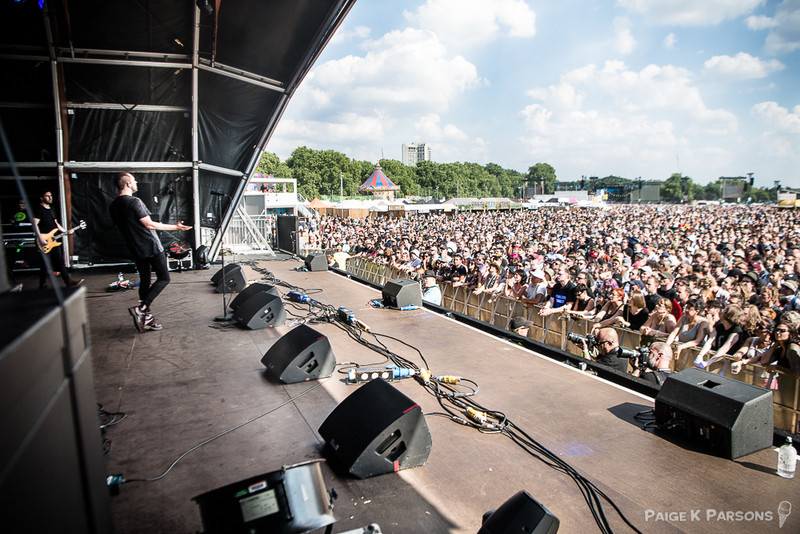 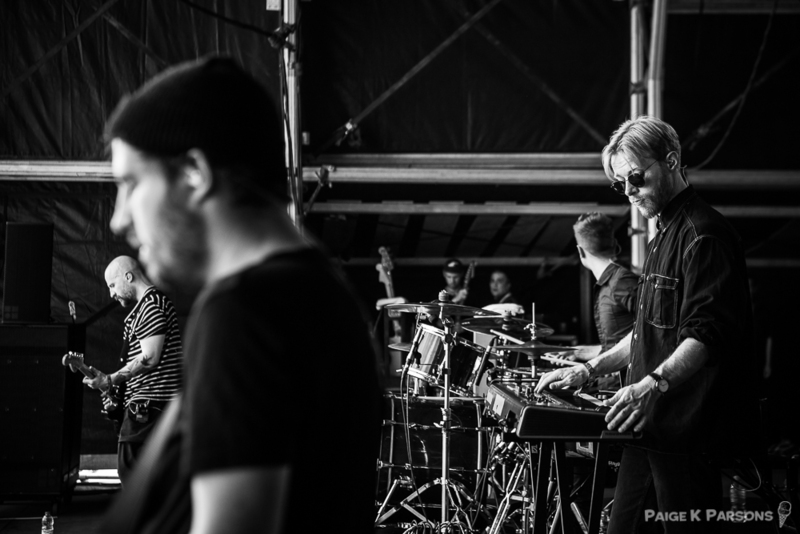 Many Thanks to The Twilight Sad for having me join their crew at BST Hyde Park. 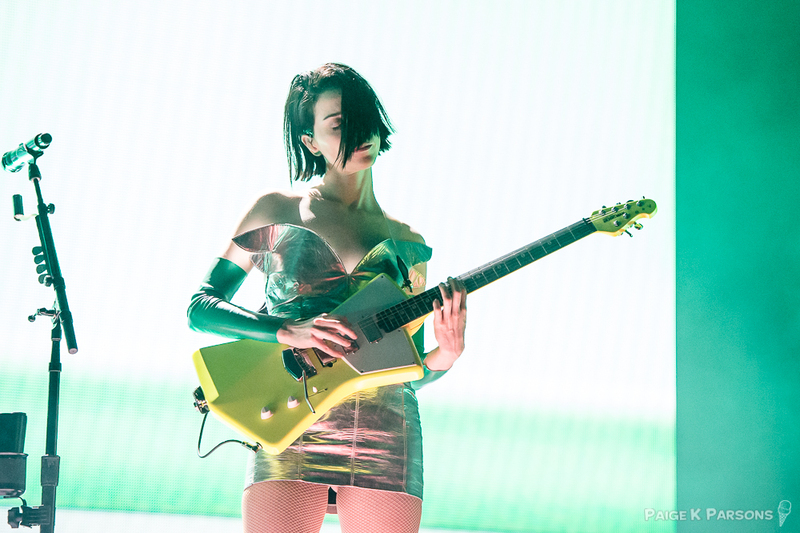 Here are a few of my favorite images from their phenomenal set. 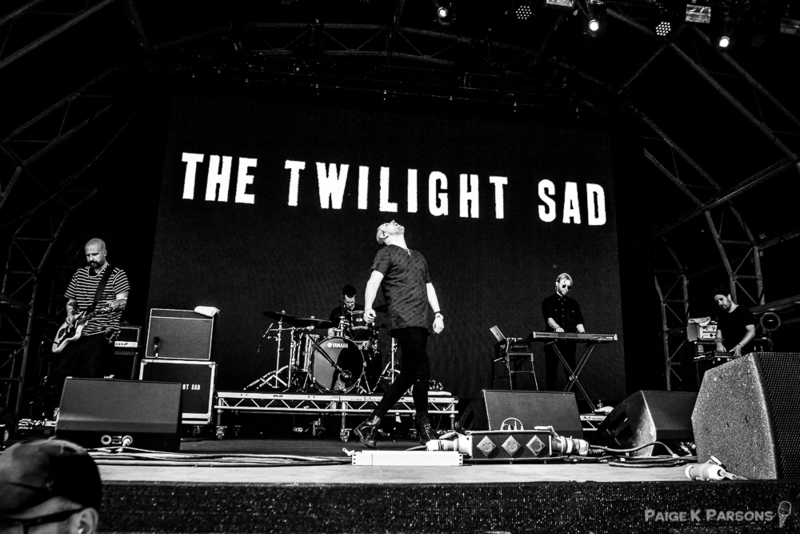 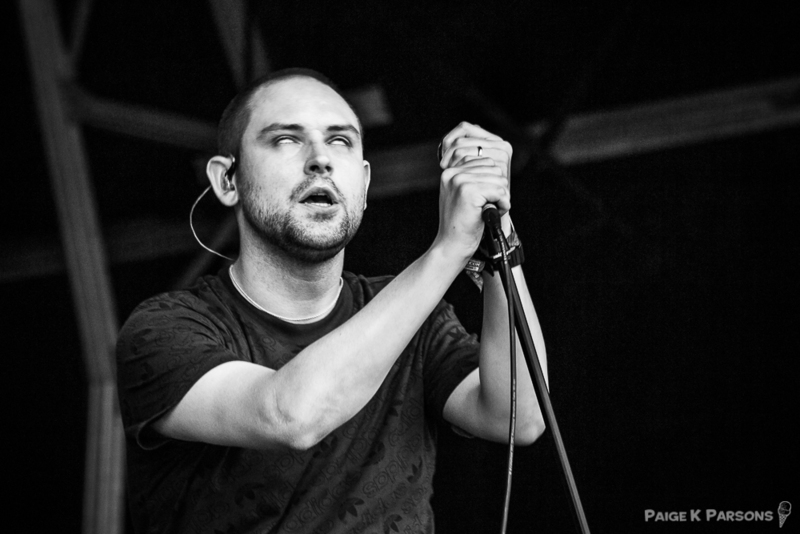 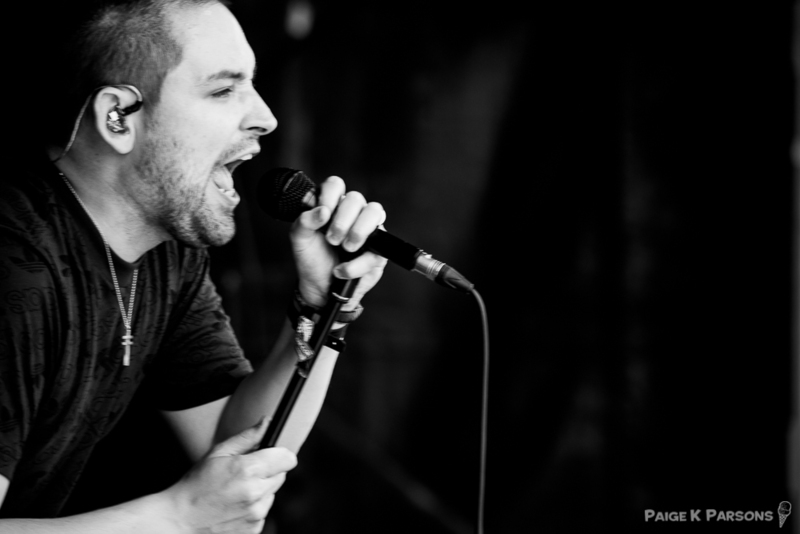 Thank you to The Twilight Sad for having me over for BST. 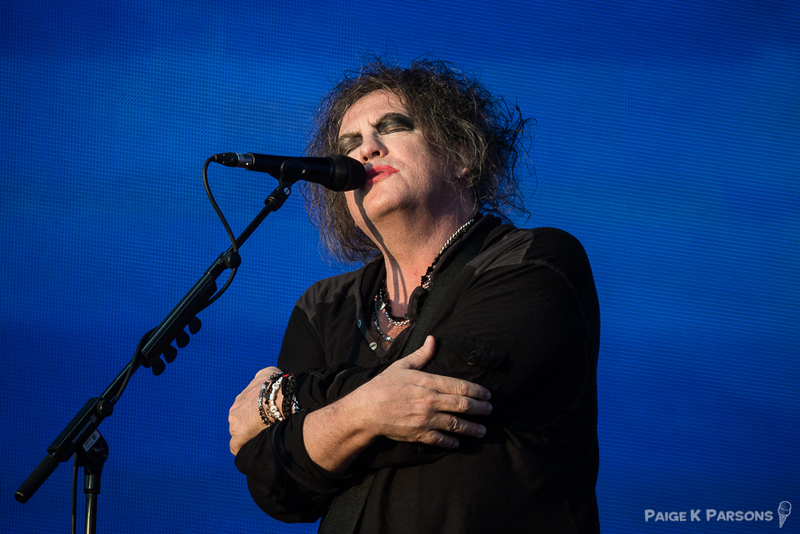 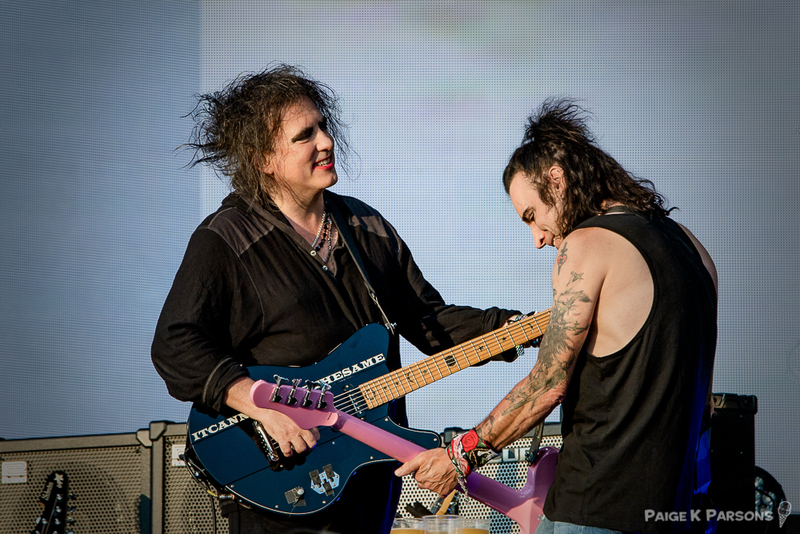 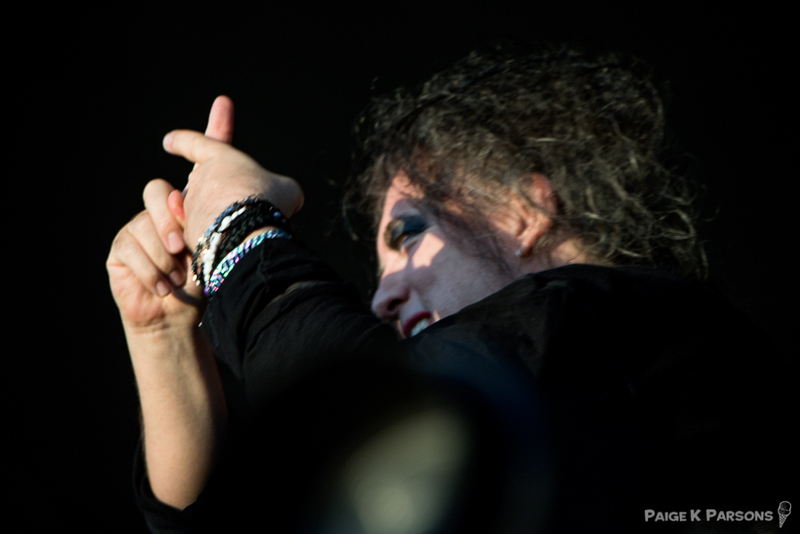 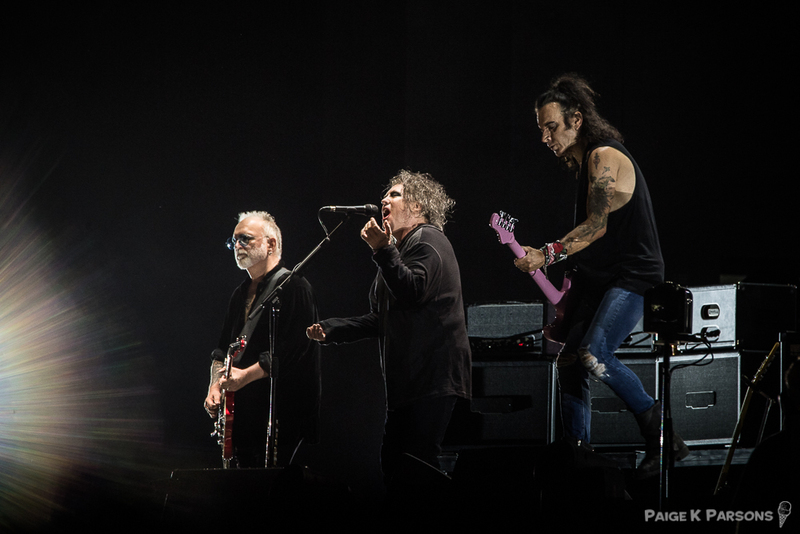 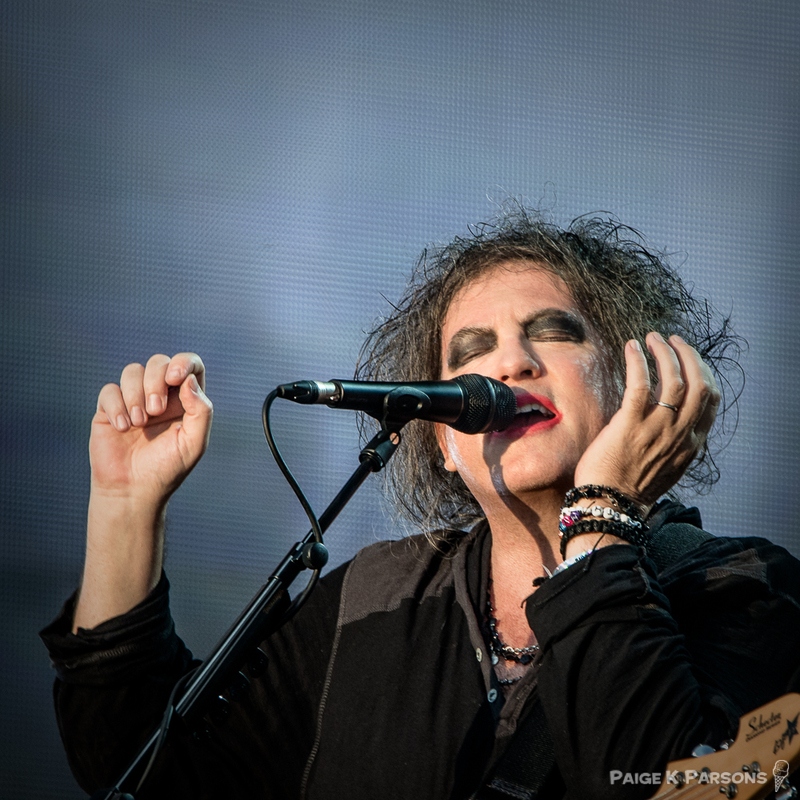 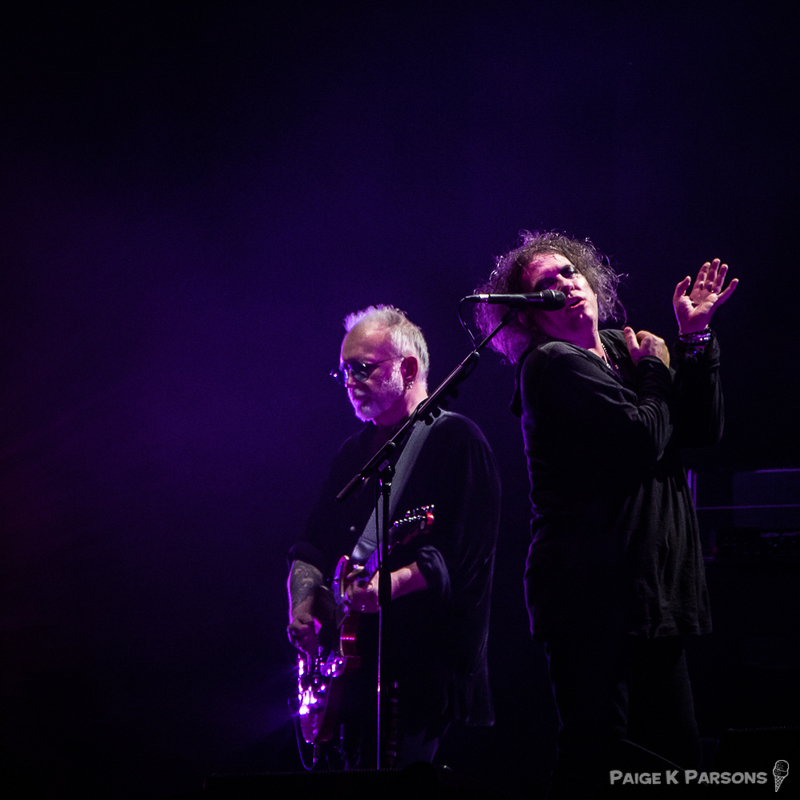 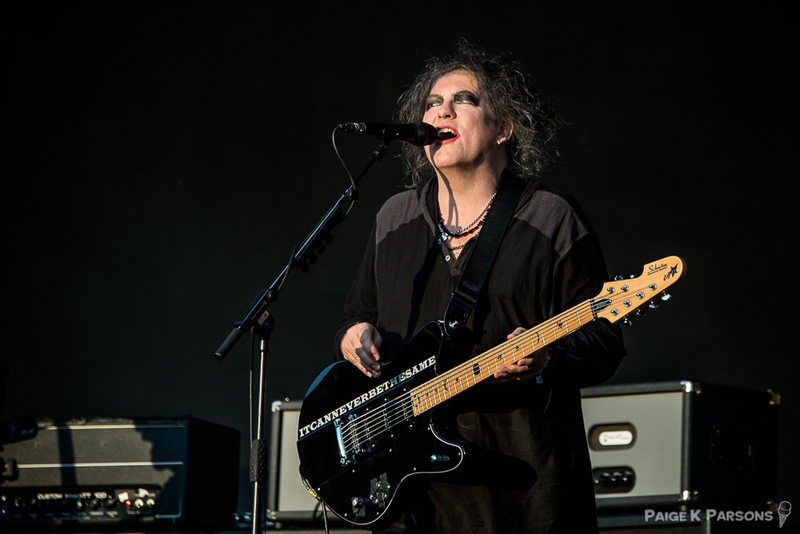 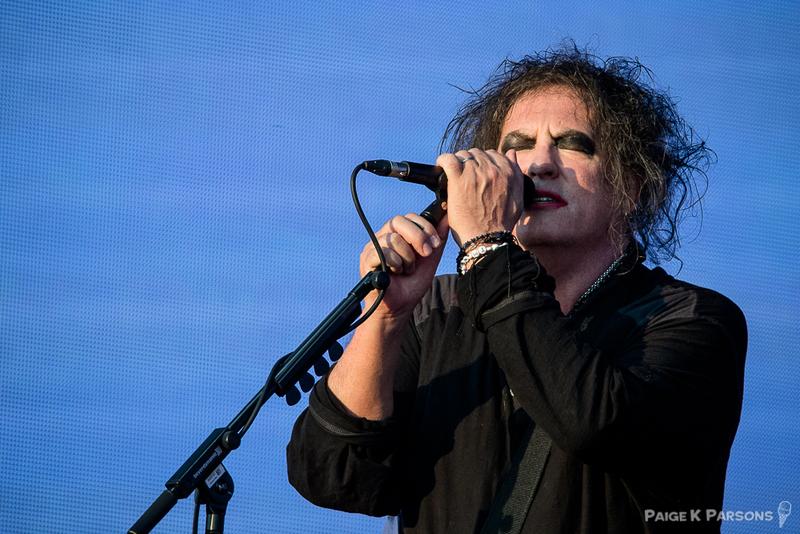 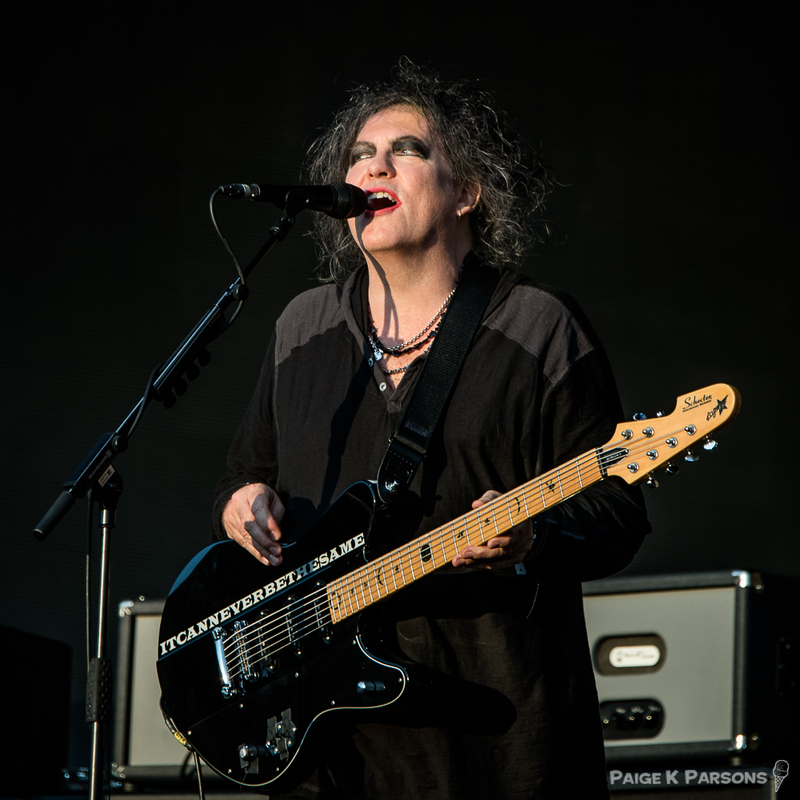 In addition to capturing a day with The Sad, I was also fortunate enough to photograph The Cure’s healining set at British Summertime in Hyde Park, London on July 9th, 2018. 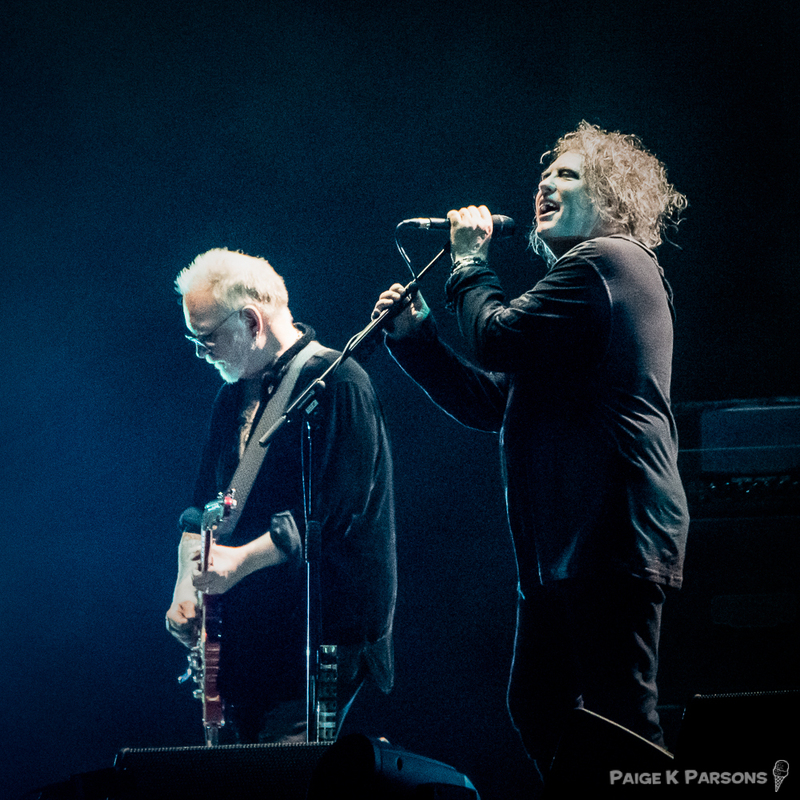 These are my favorite images from that 40th anniversary special show. 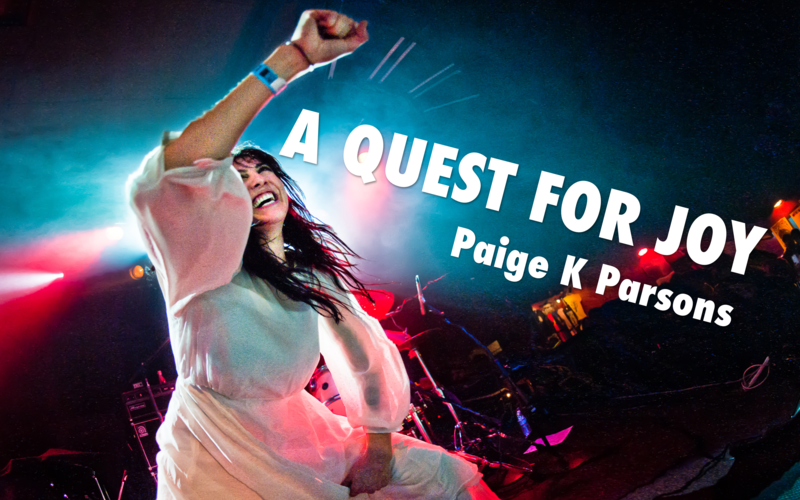 All images Copyright Paige K Parsons 2018. 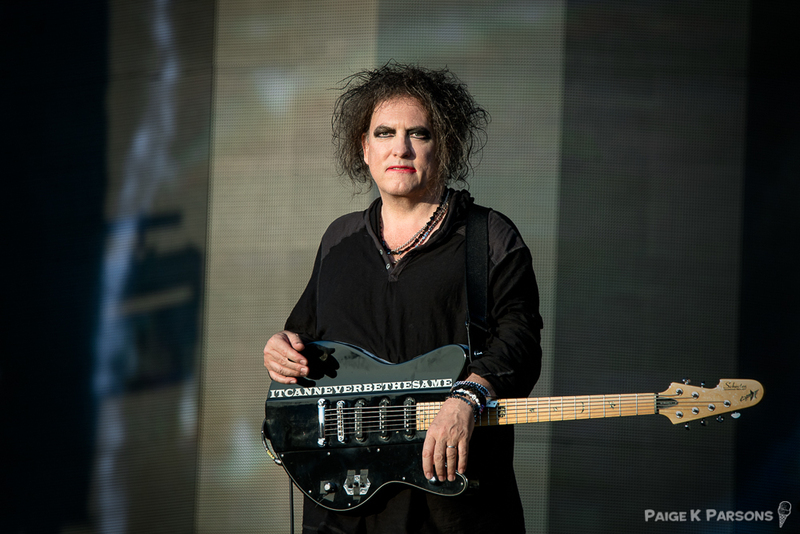 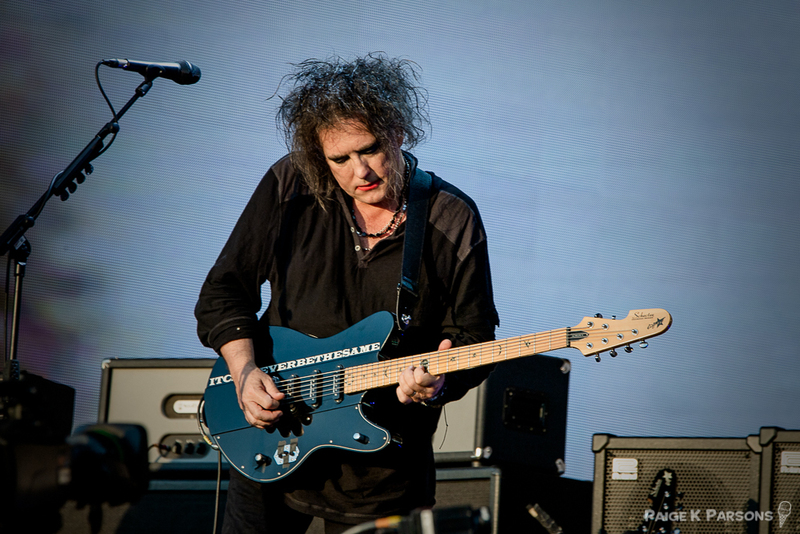 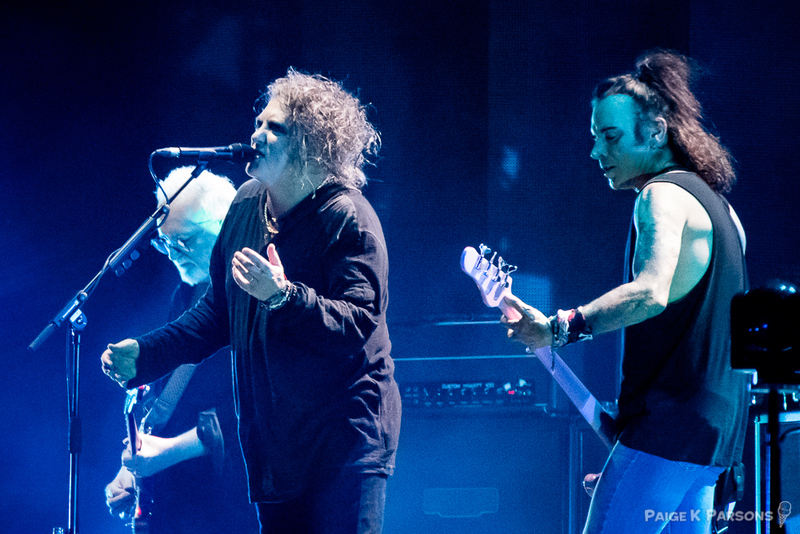 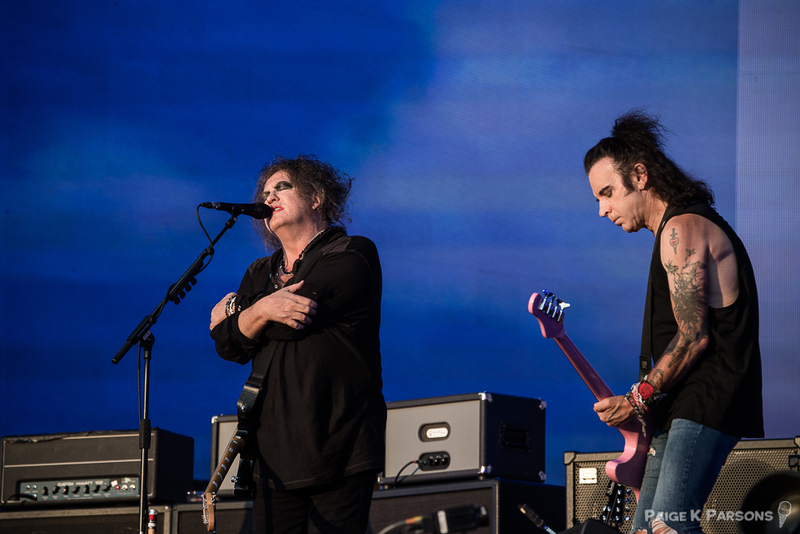 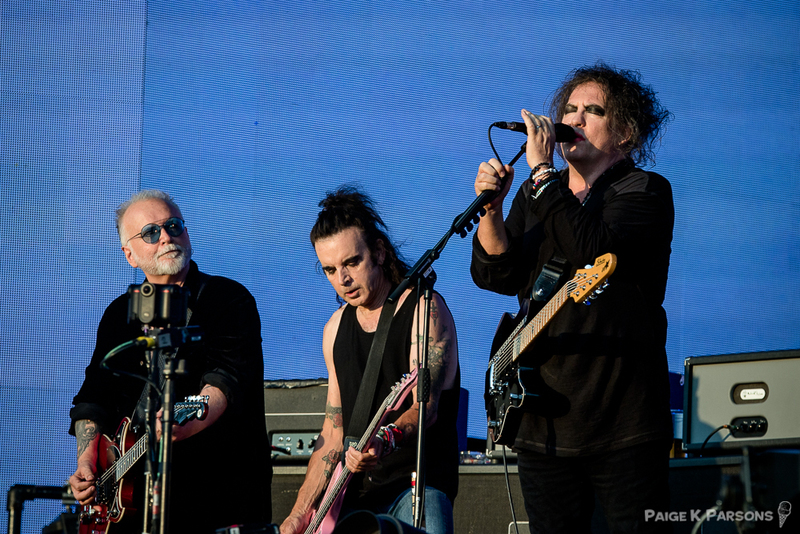 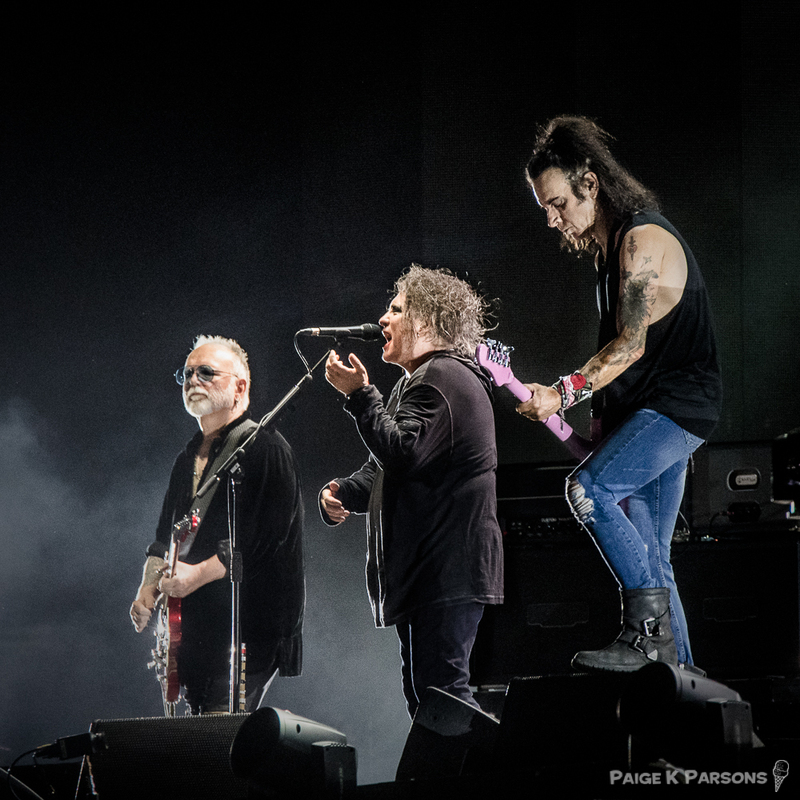 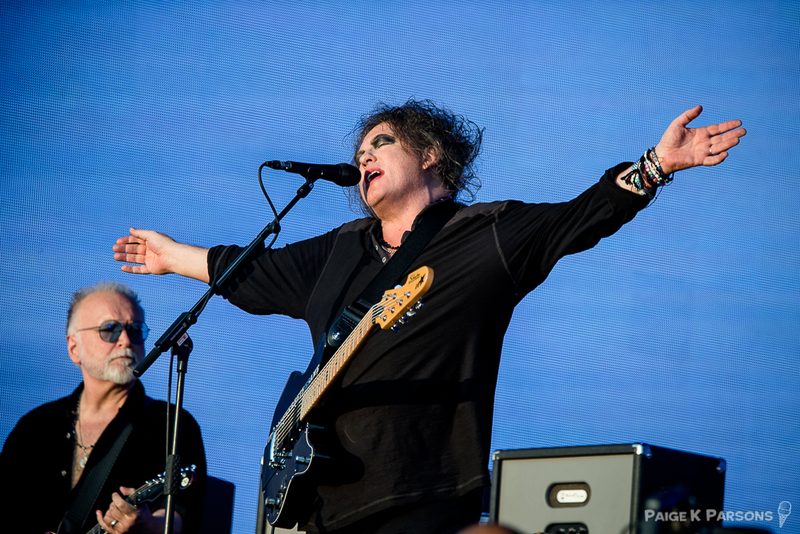 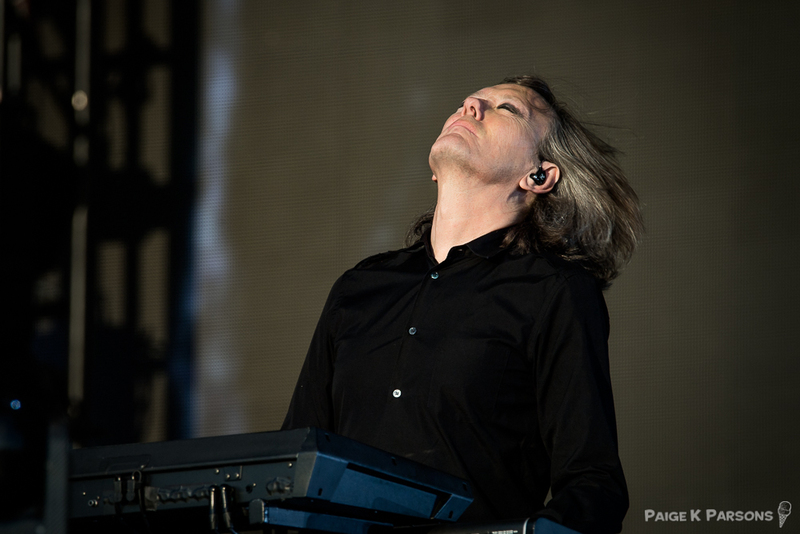 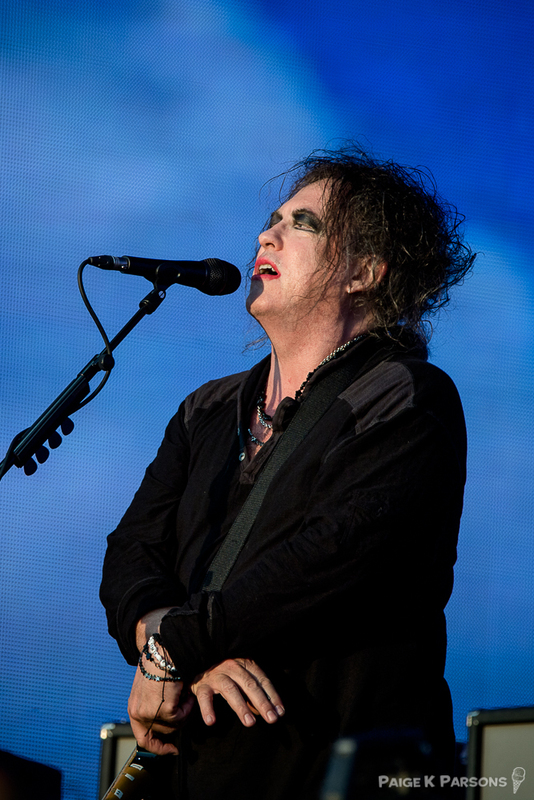 The Cure at BST Hyde Park July 9th, 2018. 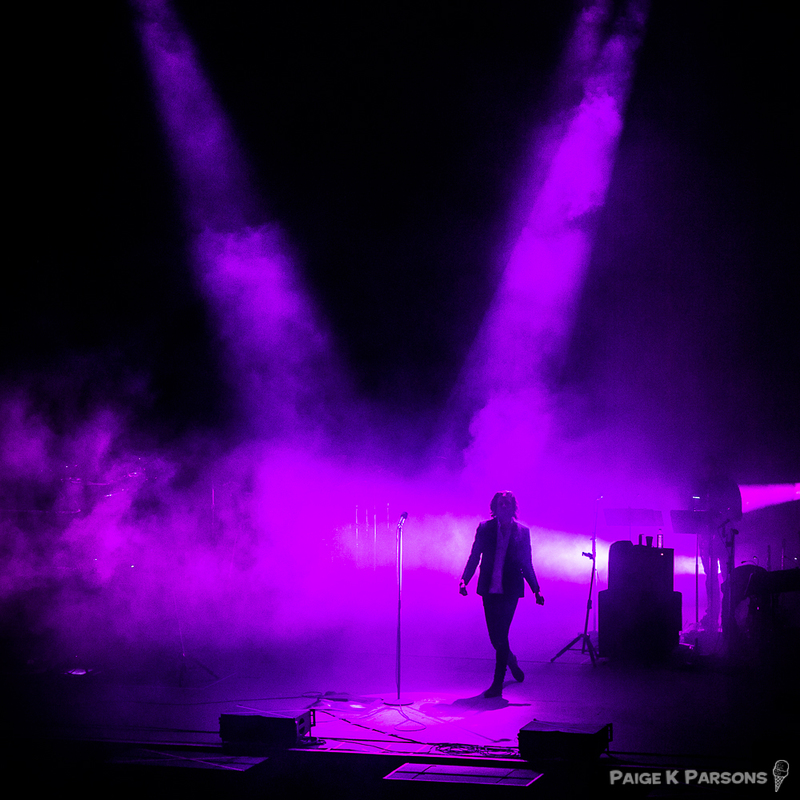 All images Copyright Paige K Parsons. 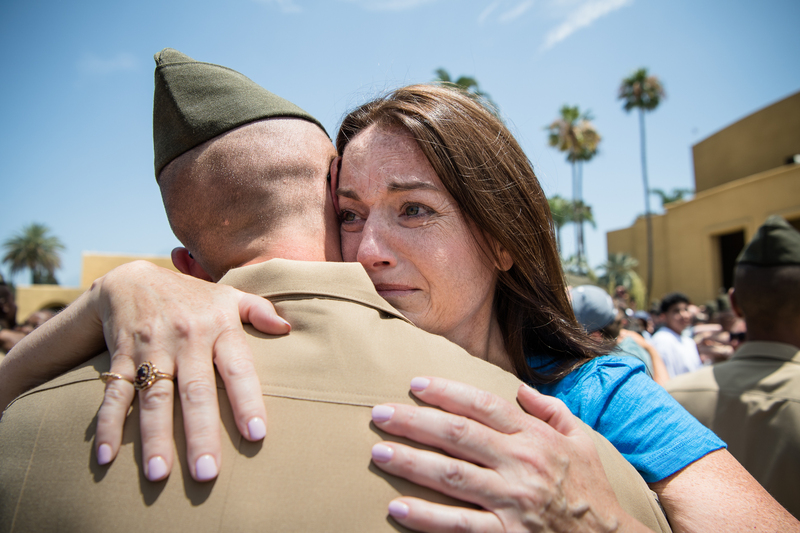 I recently was honored with a first place prize in the “Peninsula Photo Contest”, as well as an additional two images that were selected for exhibition at The Palo Alto Art Center. 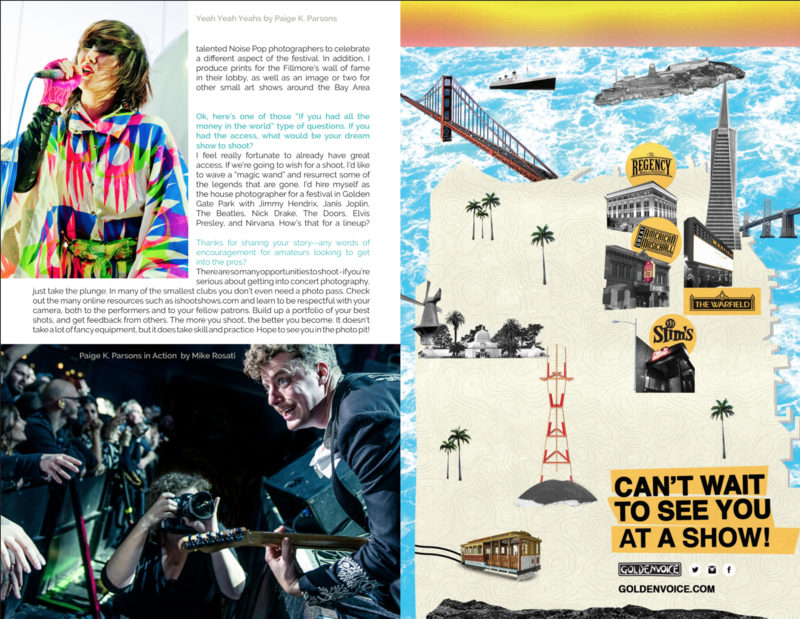 There is an extensive article at thesixfifty.com, as well as an additional article in the June 7th Palo Alto Weekly, both online and in print. 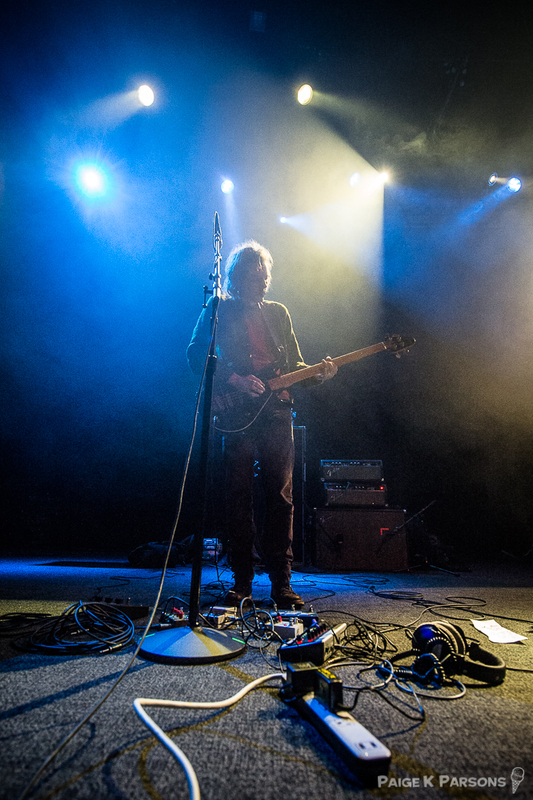 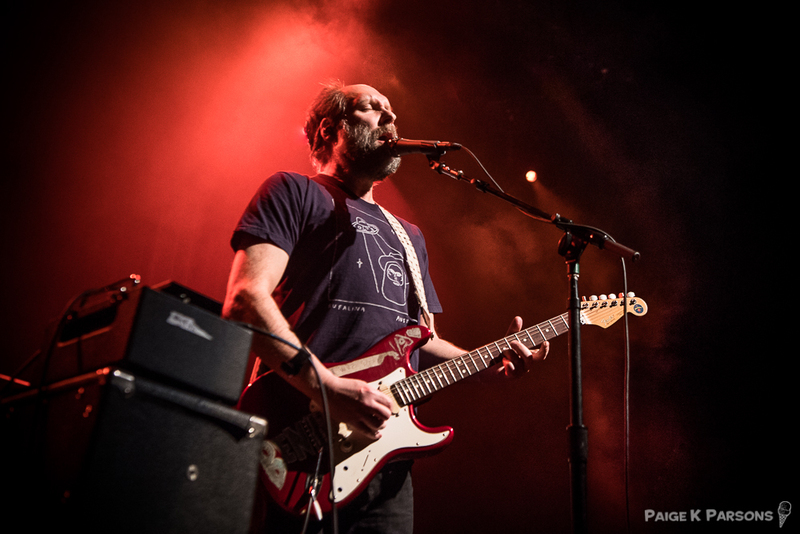 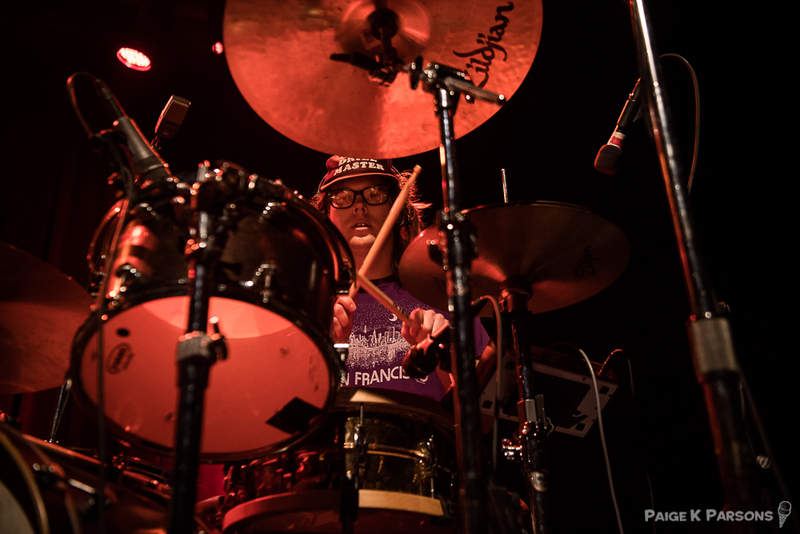 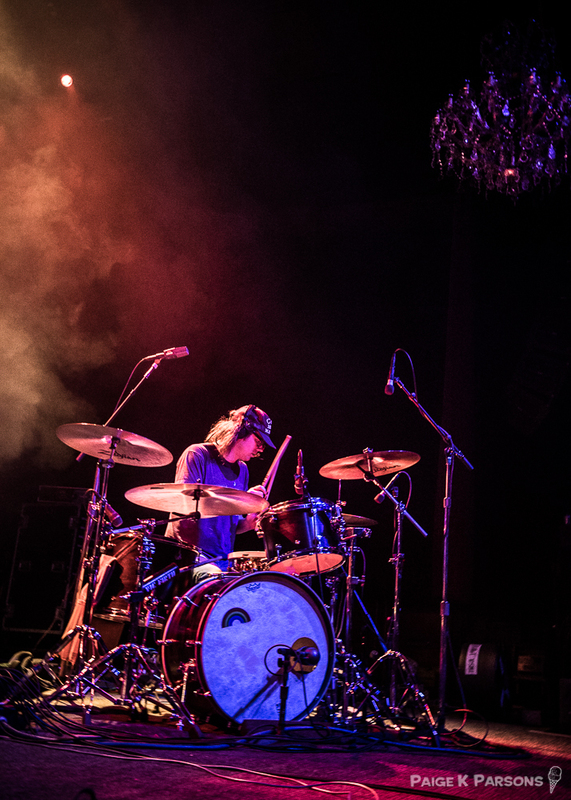 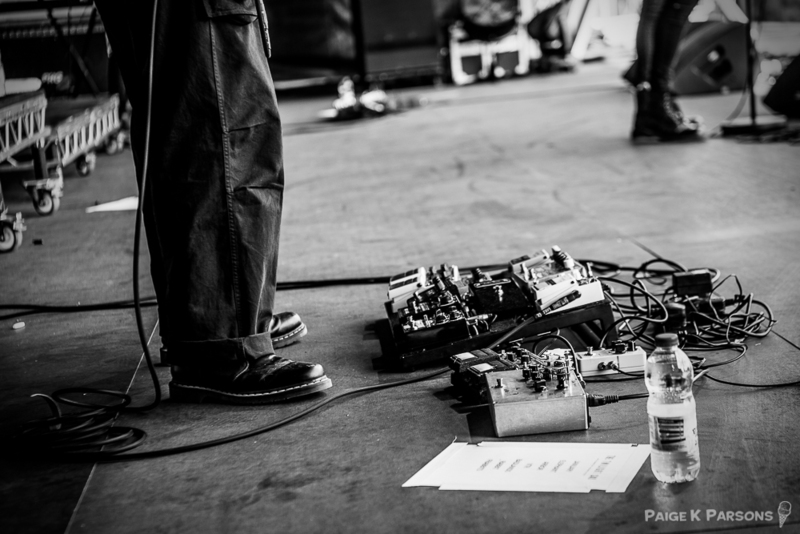 I’ve been Noise Pop’s head photographer since 2013, when the legendary Peter Ellenby moved to Portland and tapped me to fill his shoes. 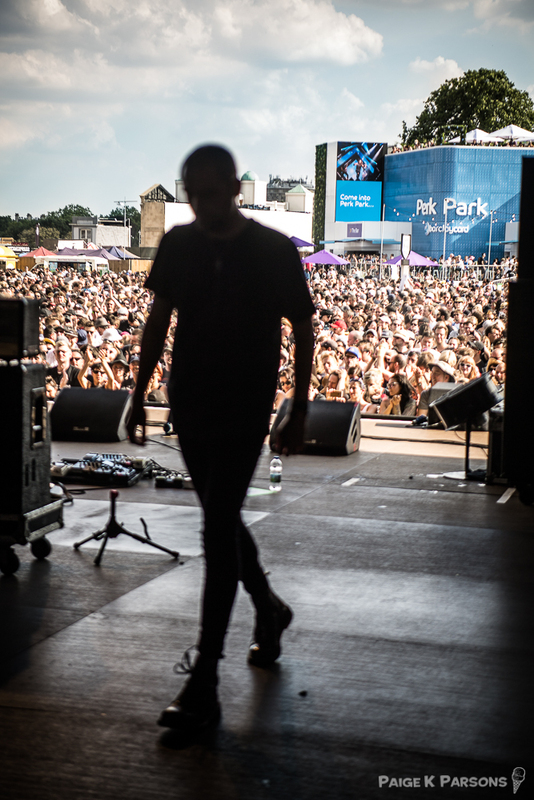 Each year I photograph the cover of the festival guide and also I’m responsible for hiring and managing an ever-growing crew of photographers. 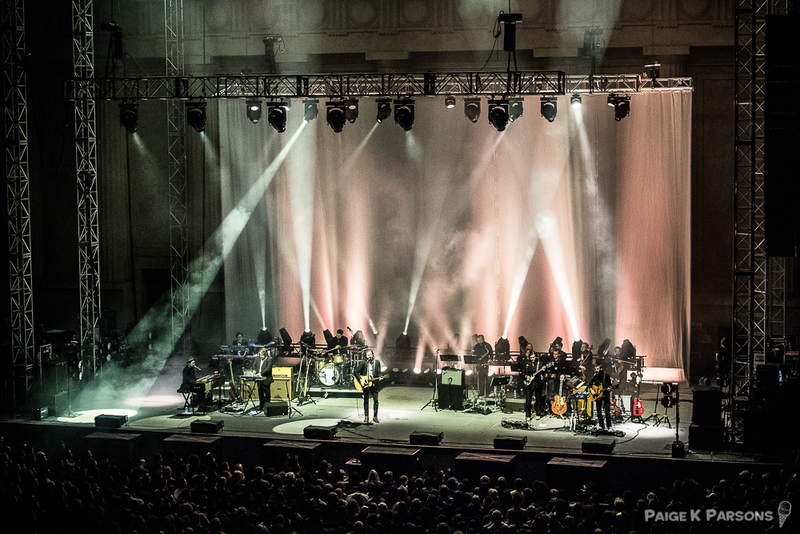 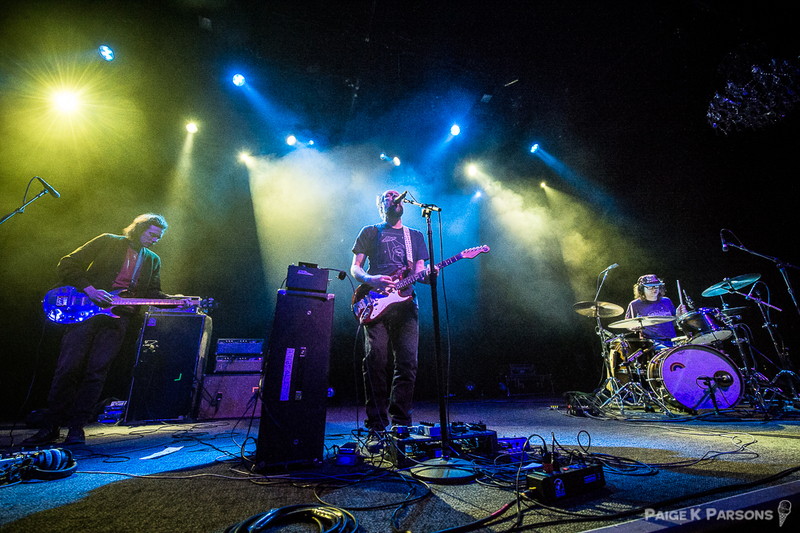 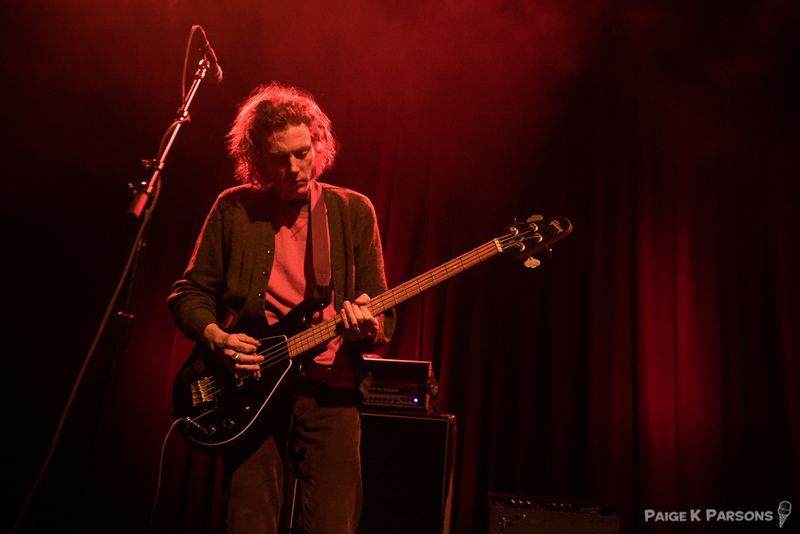 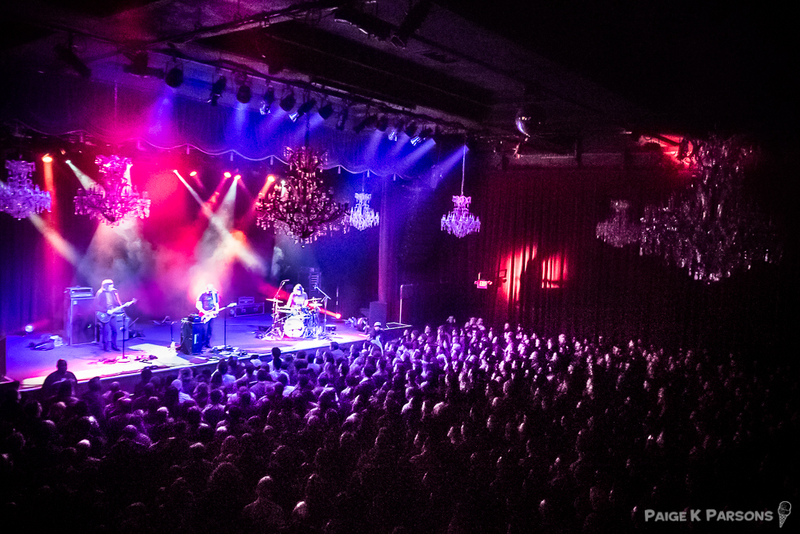 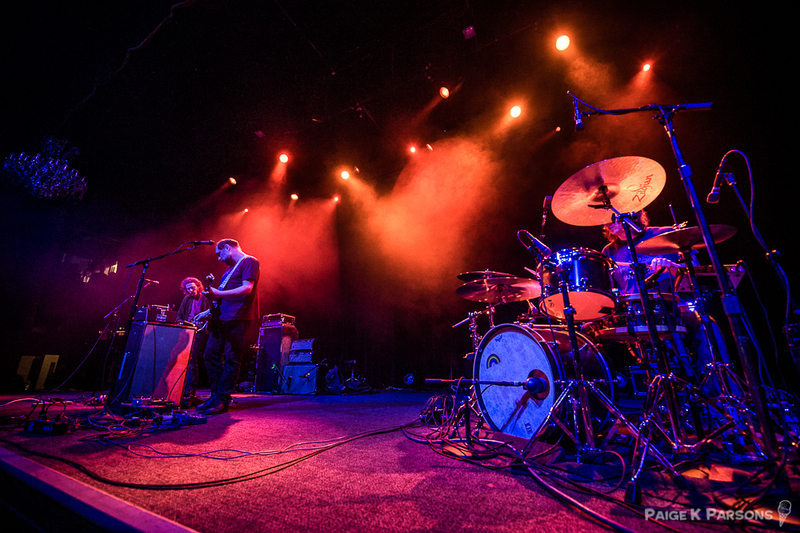 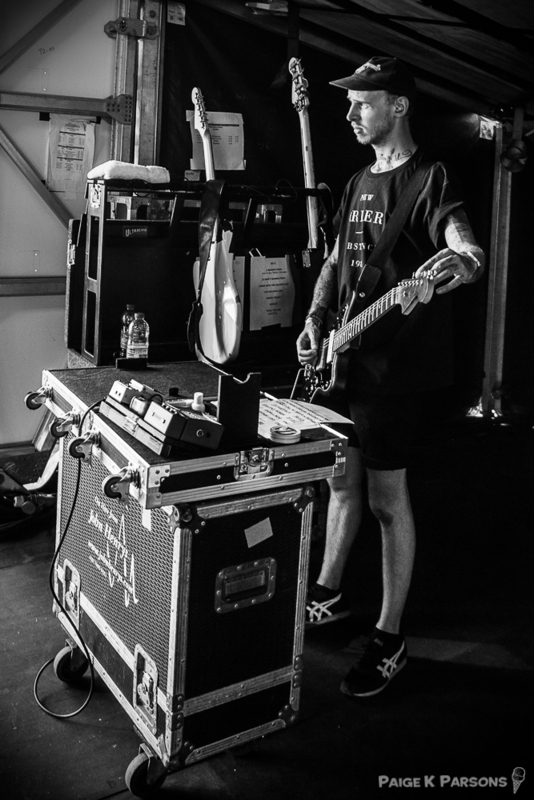 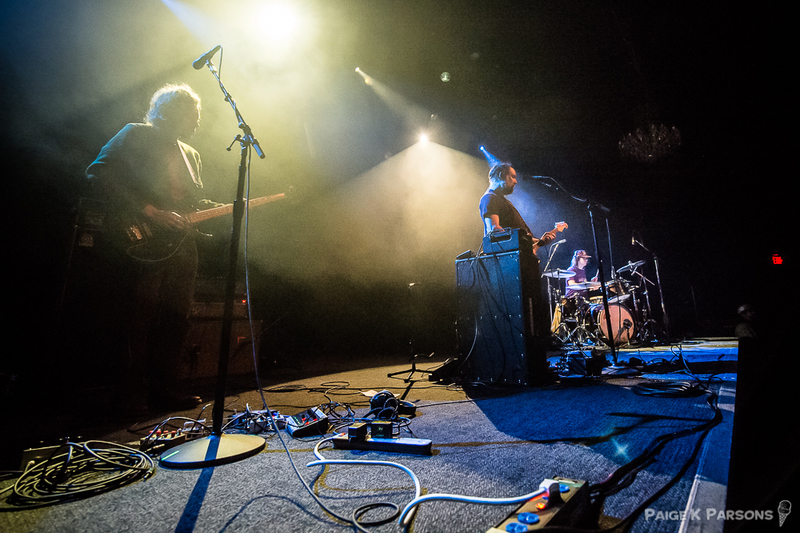 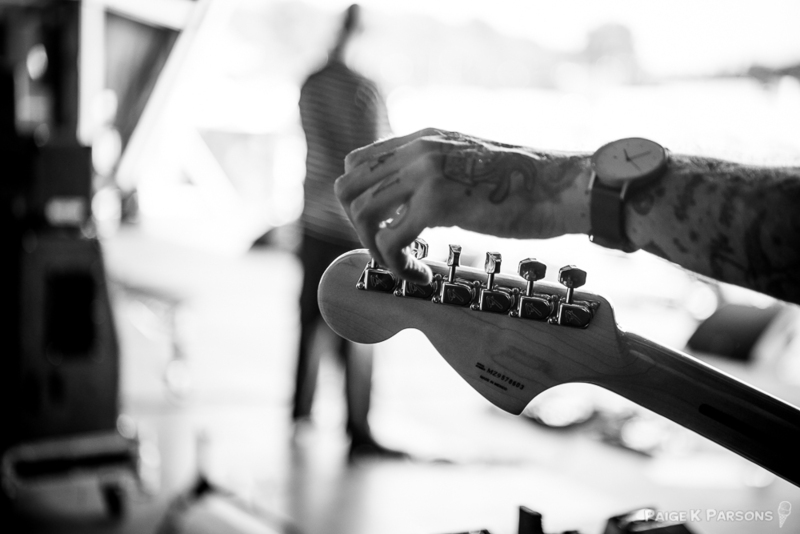 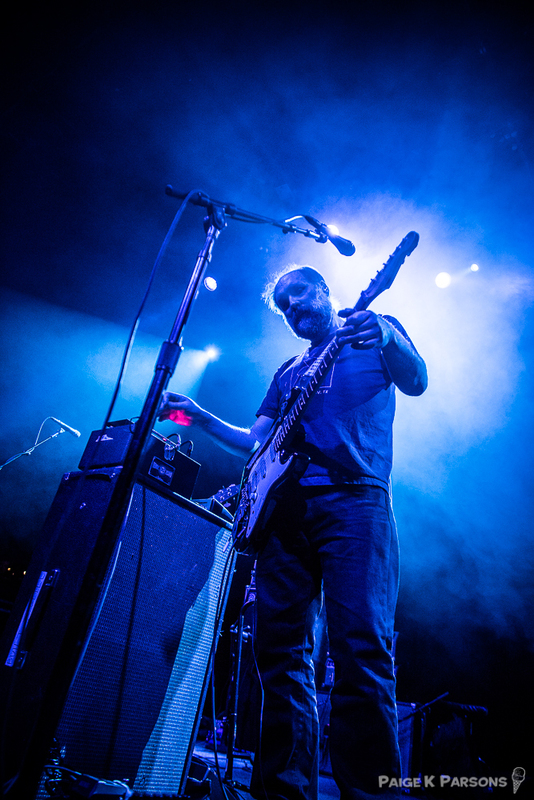 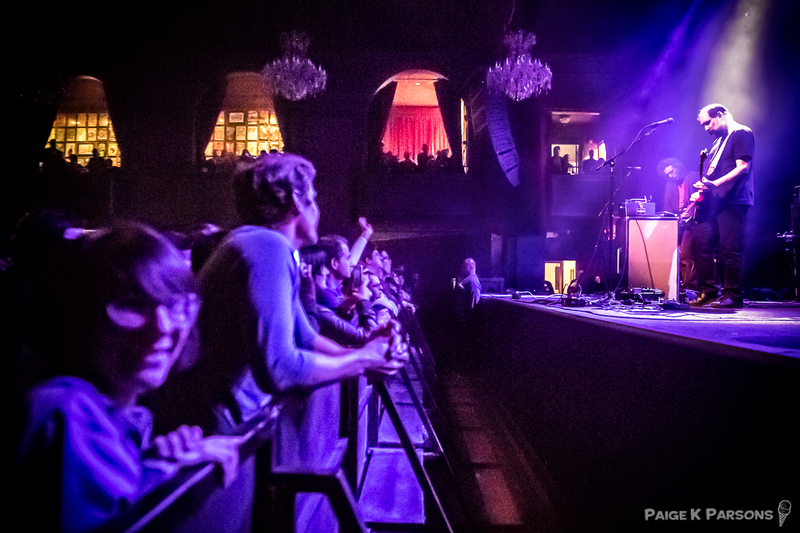 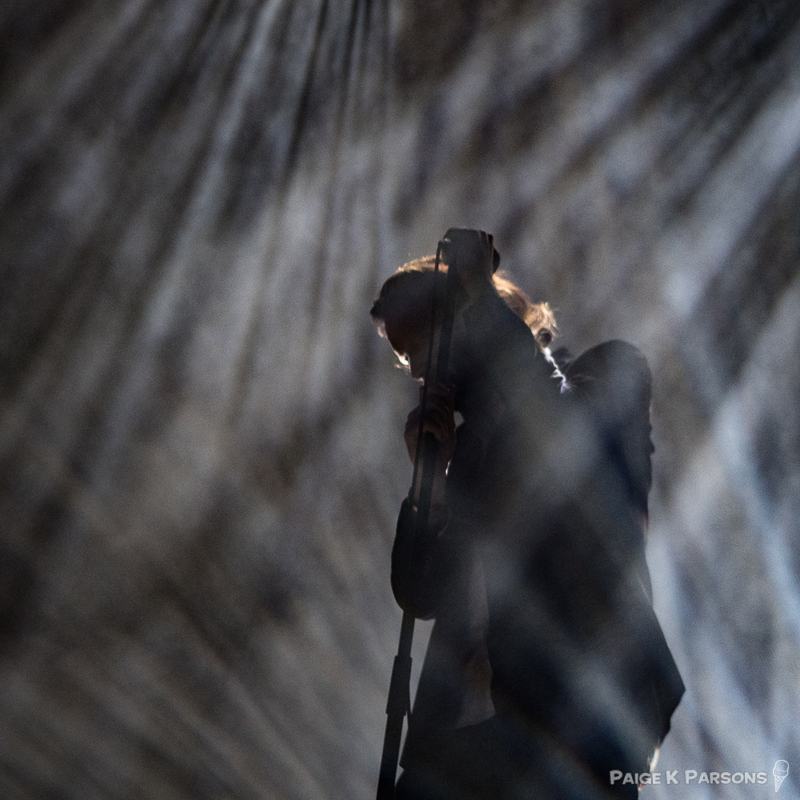 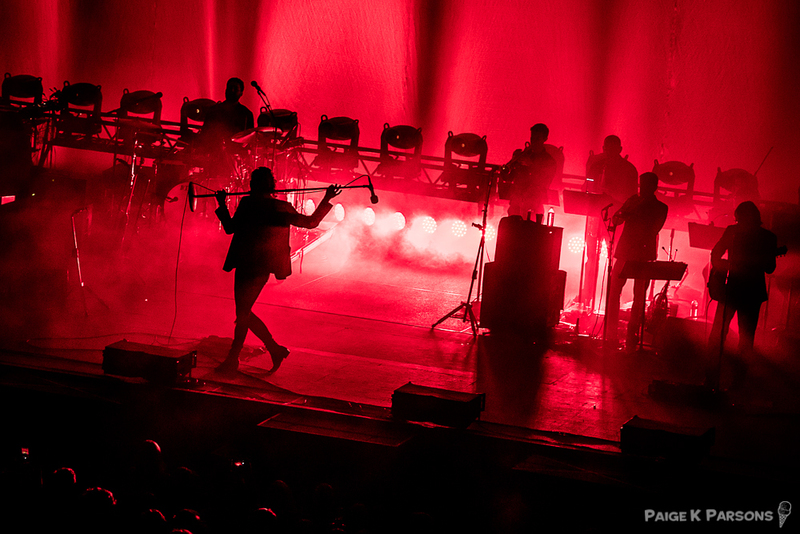 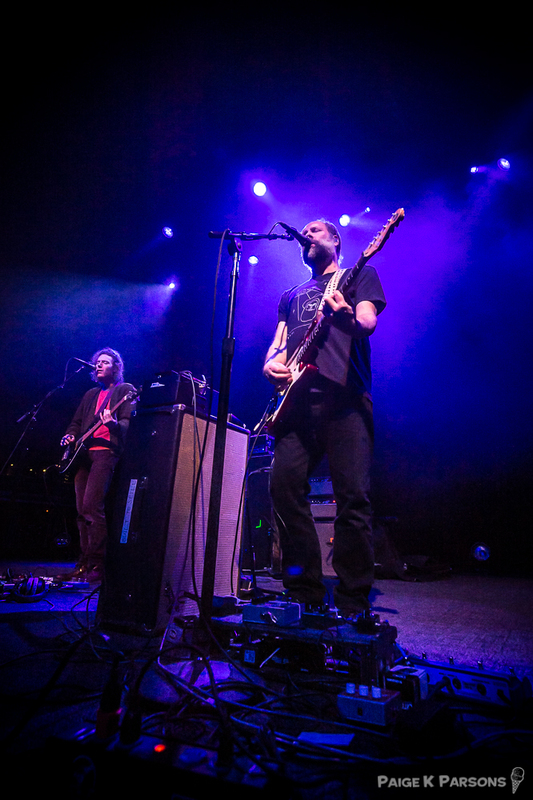 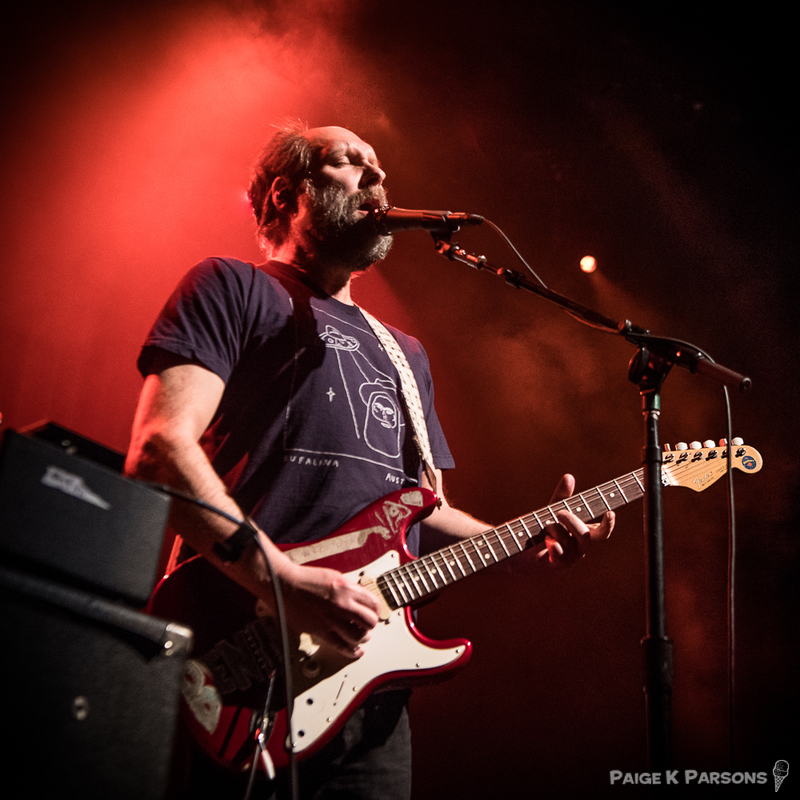 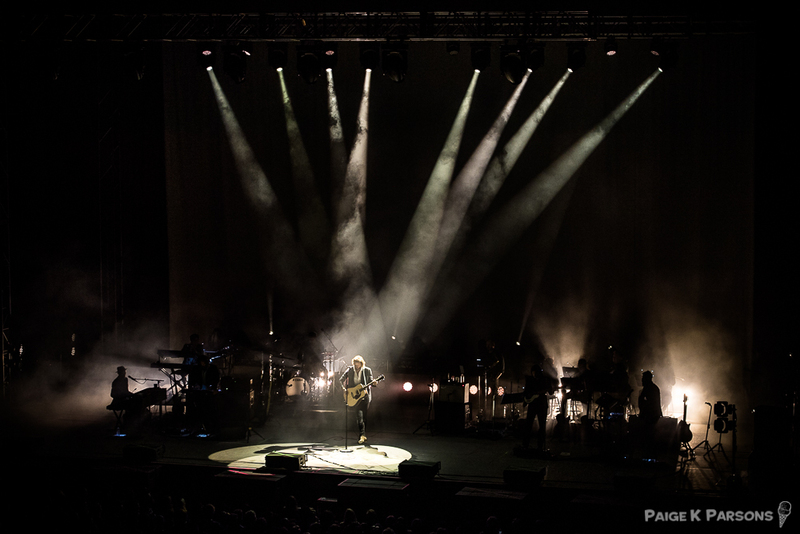 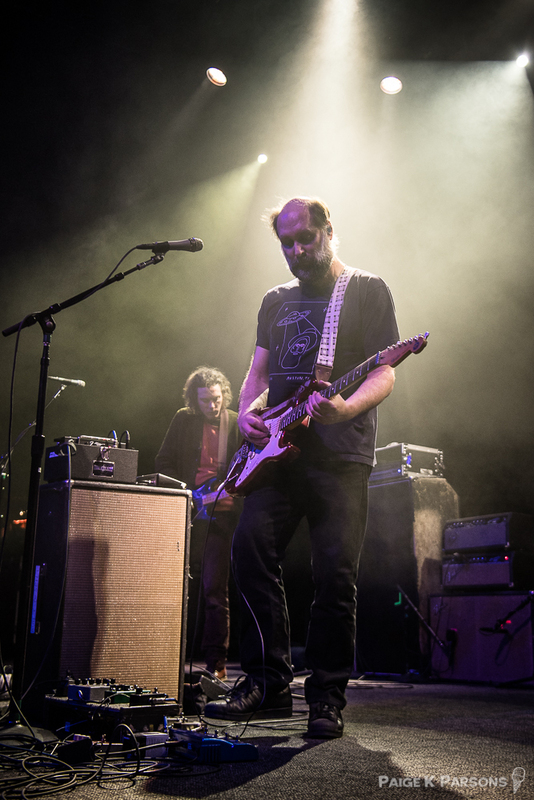 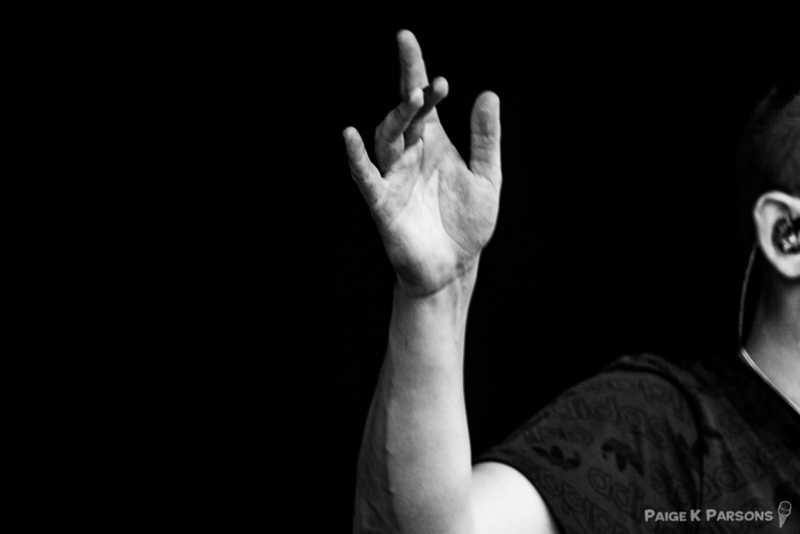 This year I brought on 15 photographers who covered 170 shows over a 7 day period. 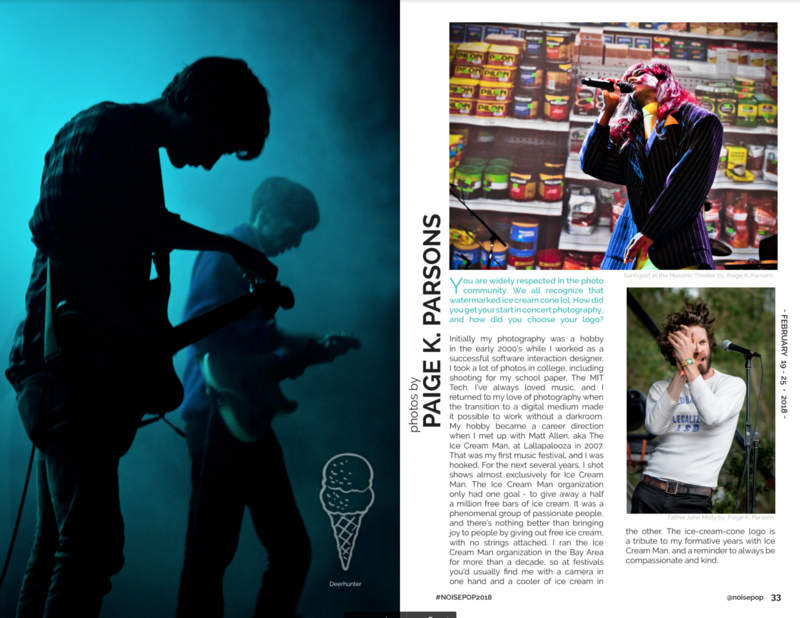 This year the folks at Noise Pop decided to feature long-form content in the Noise Pop Festival Guide. 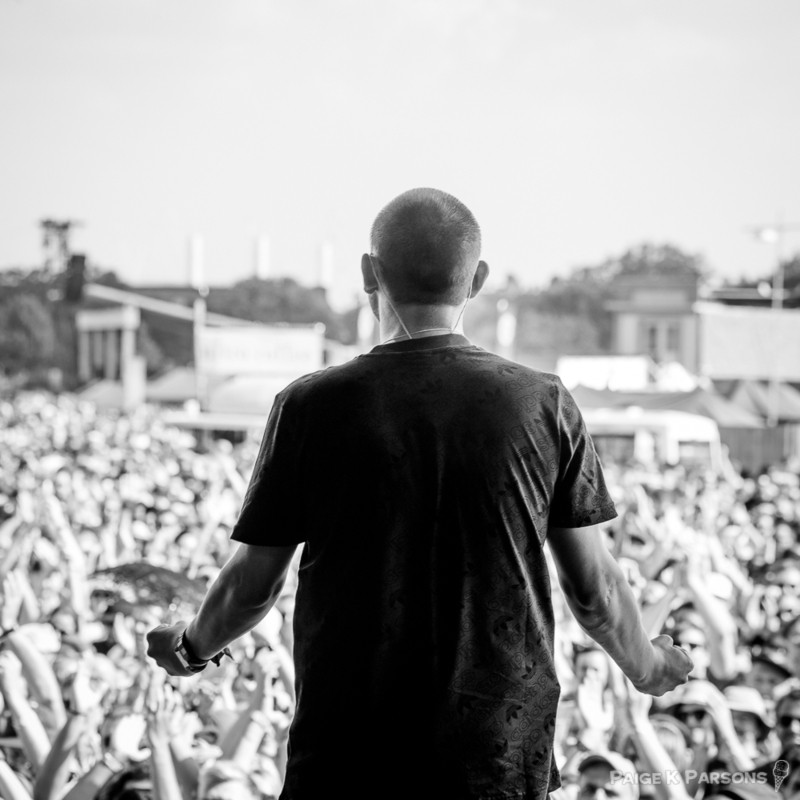 They asked me if I would be up for a Q&A and I obliged. 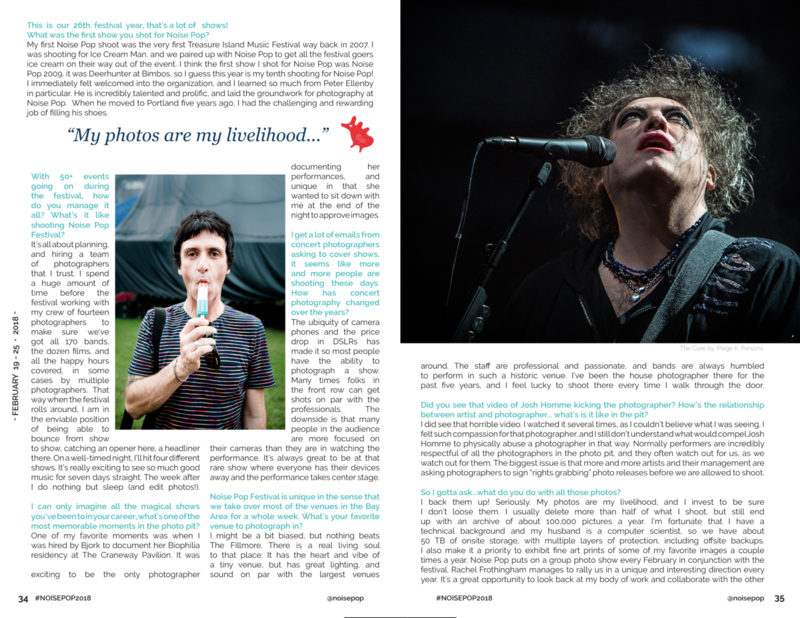 It’s not available elsewhere in digital form, so I’ve included tear sheets below. 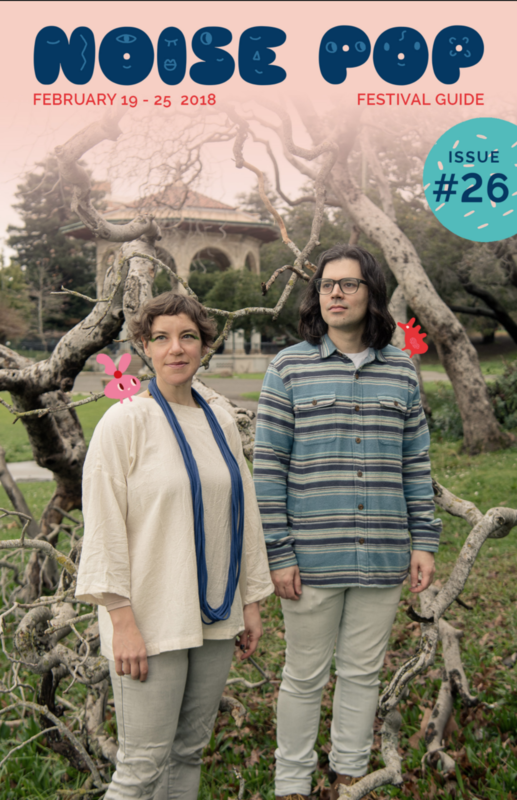 I’ve also included the cover of the guide, featuring Tune Yards. 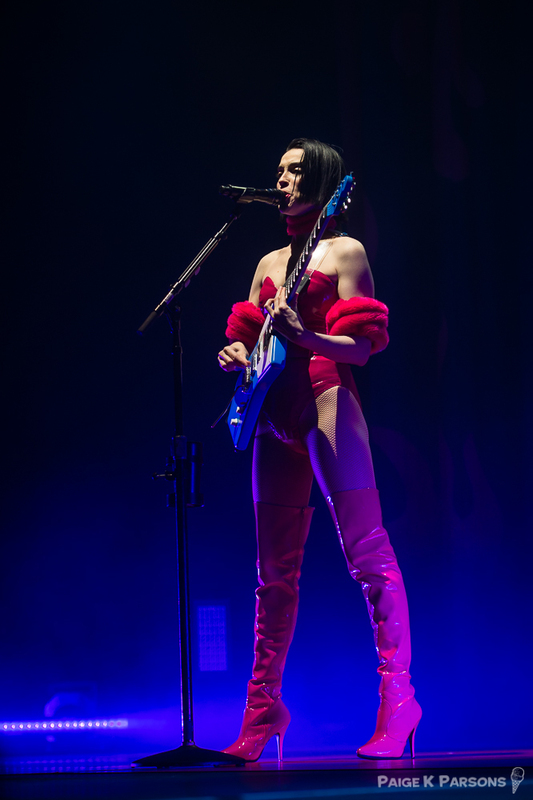 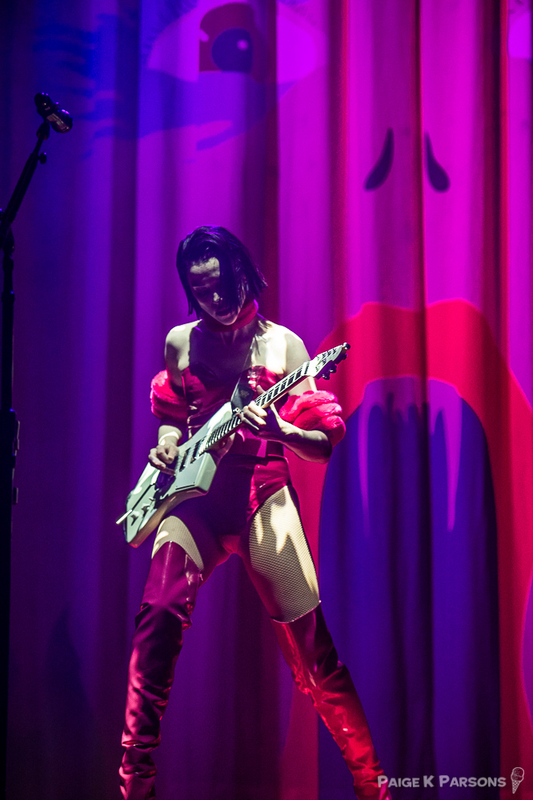 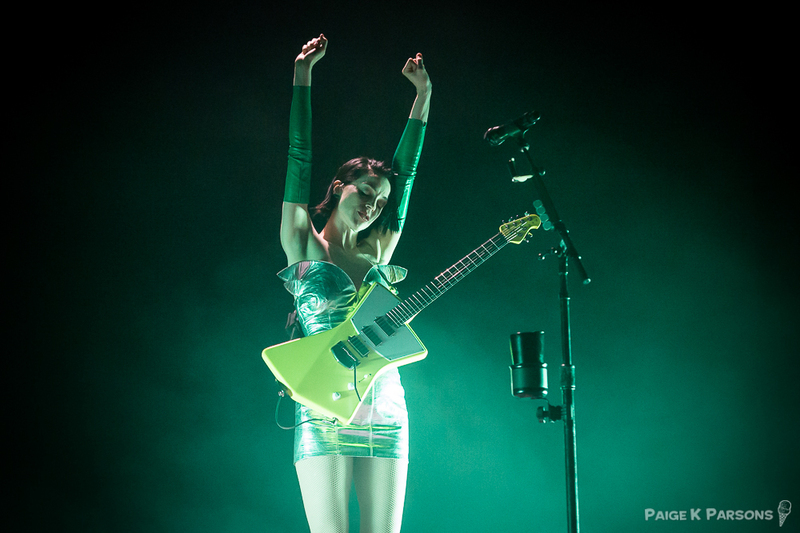 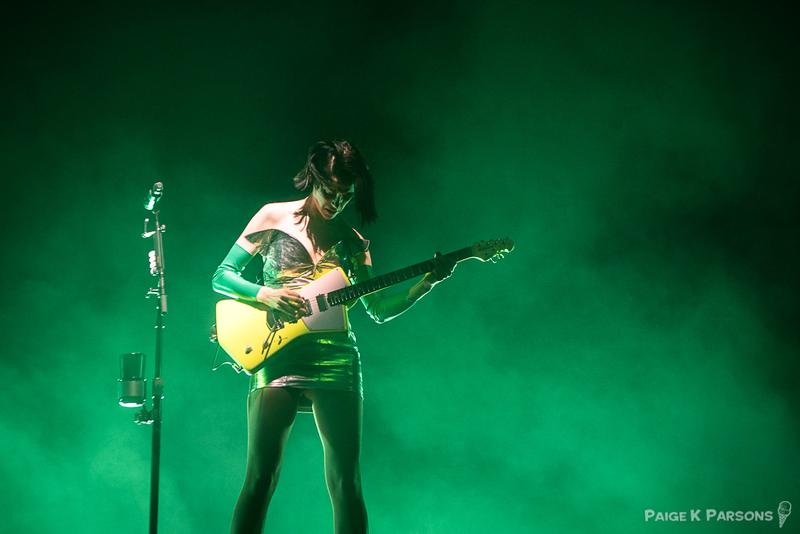 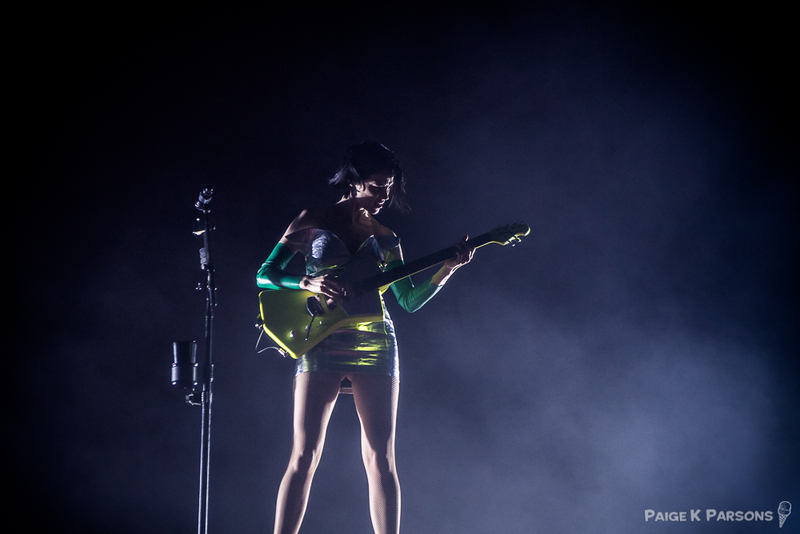 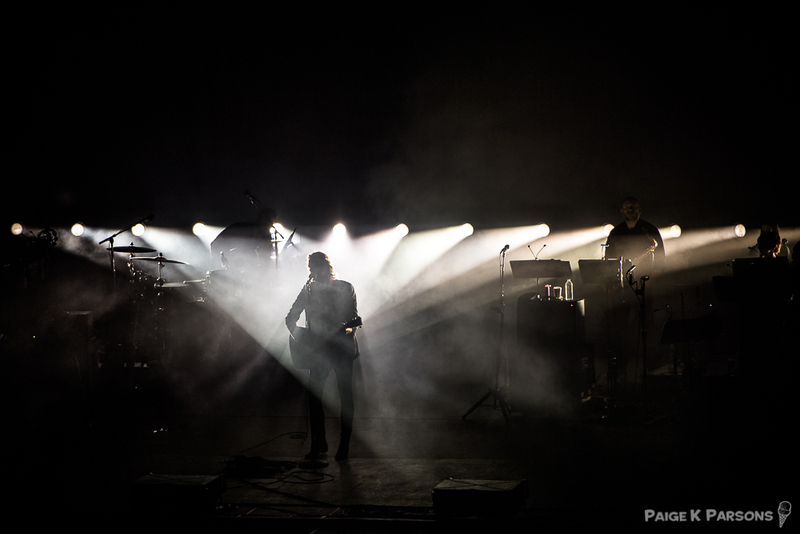 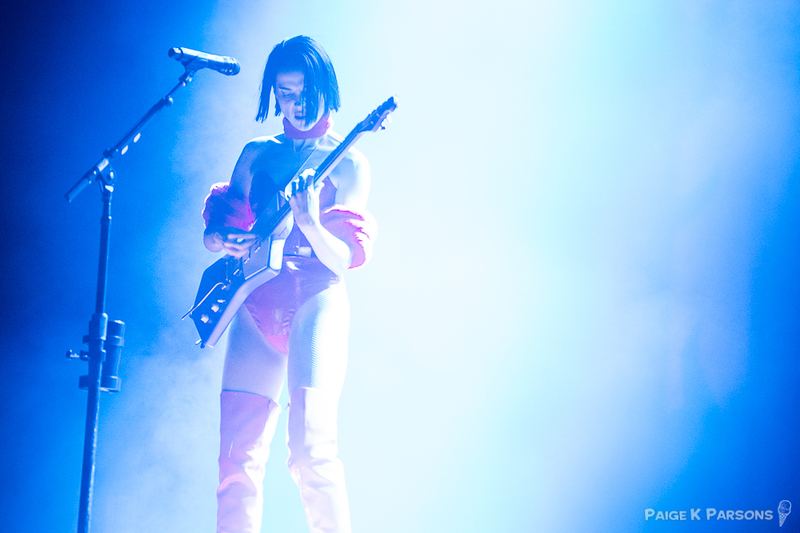 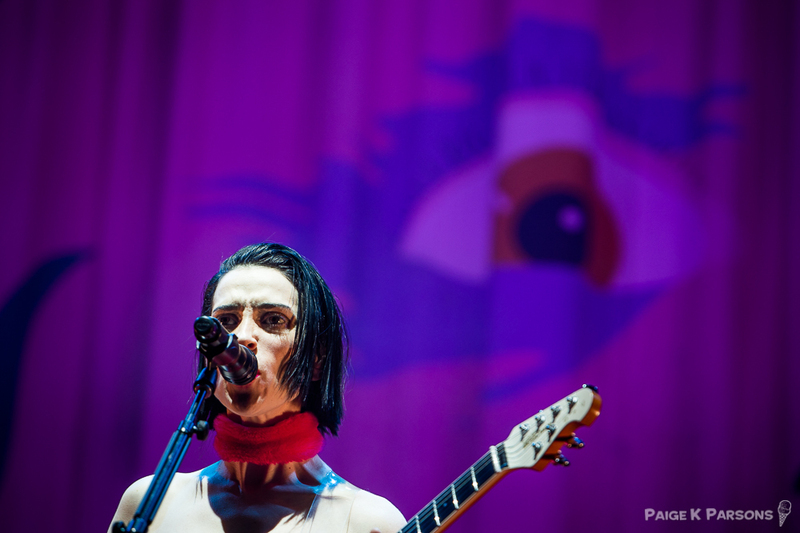 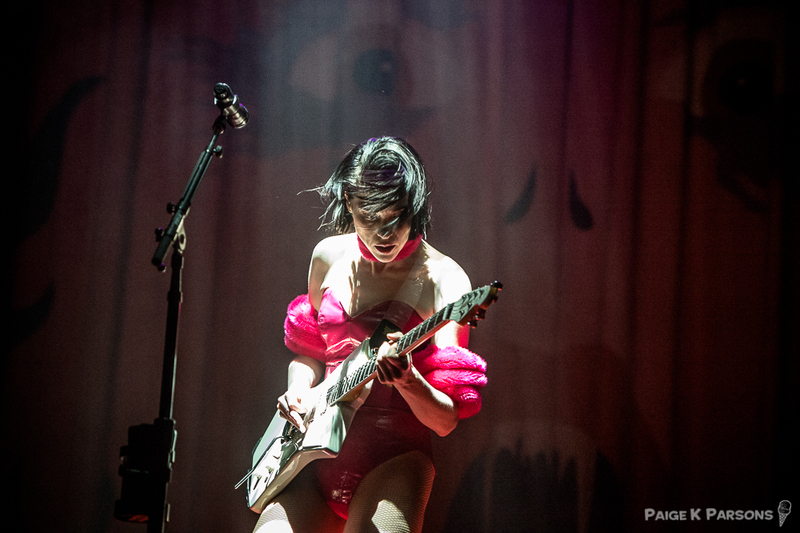 St Vincent at The San Francisco Civic January 22nd, 2018. 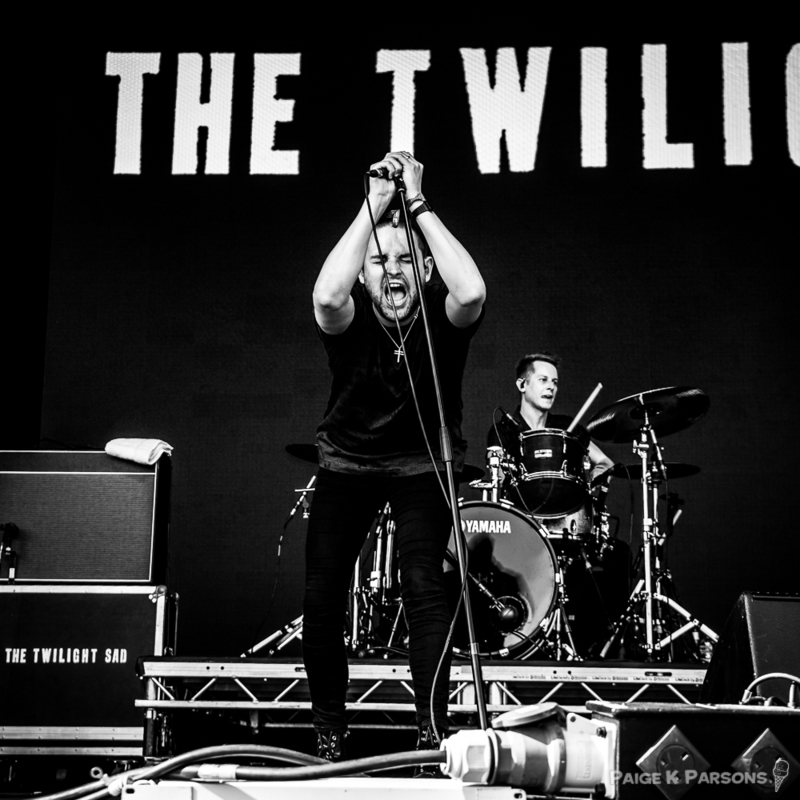 Photographed for RIFF Magazine by Paige K Parsons. 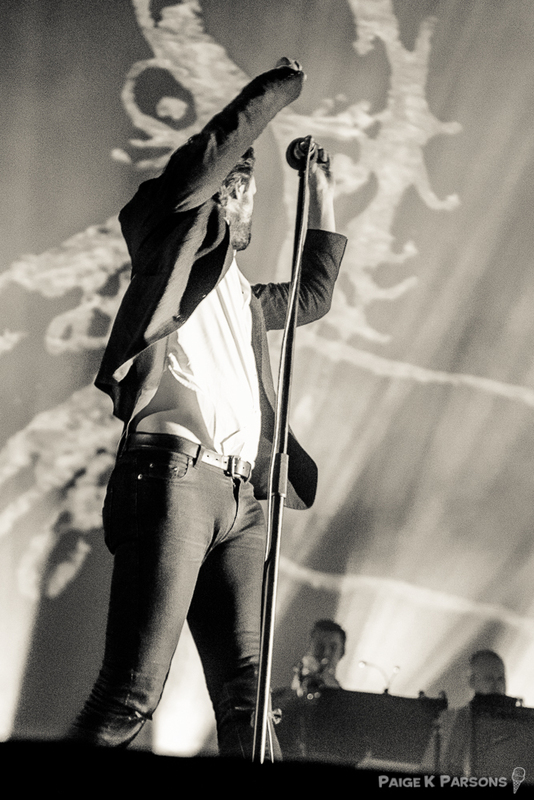 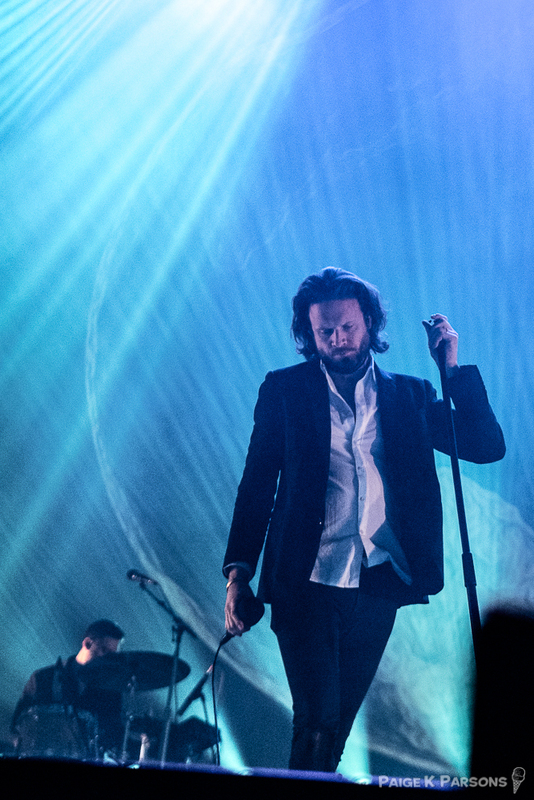 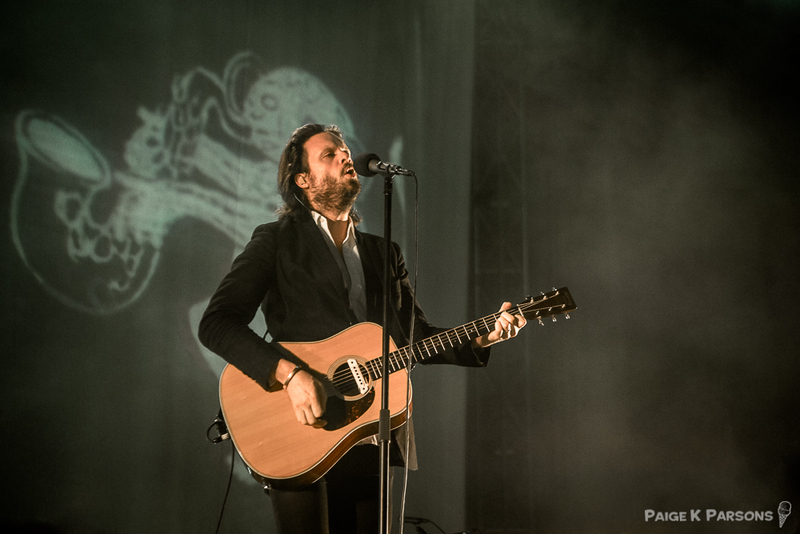 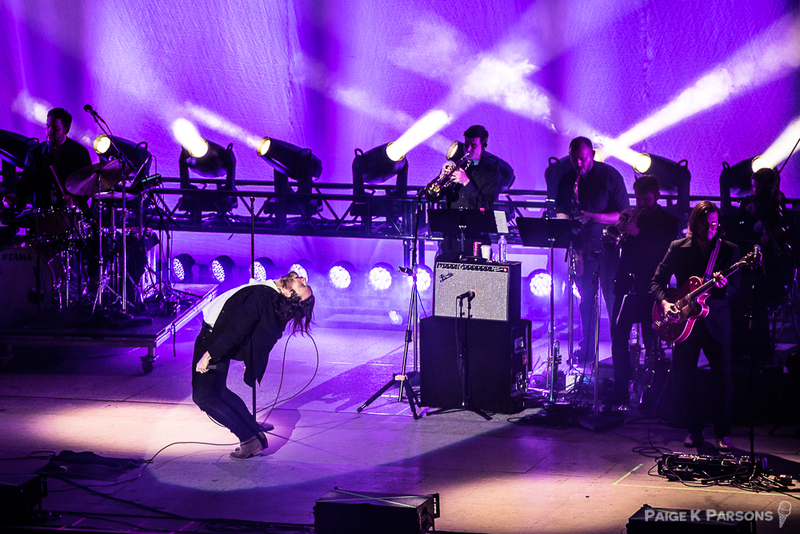 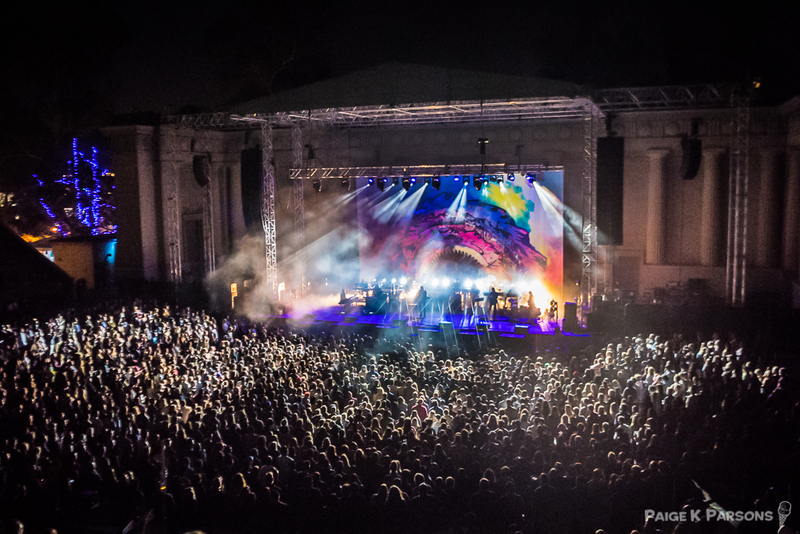 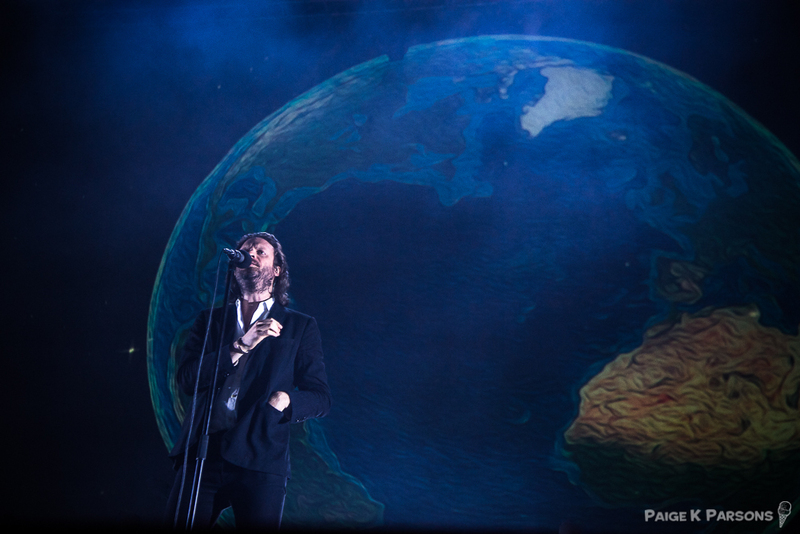 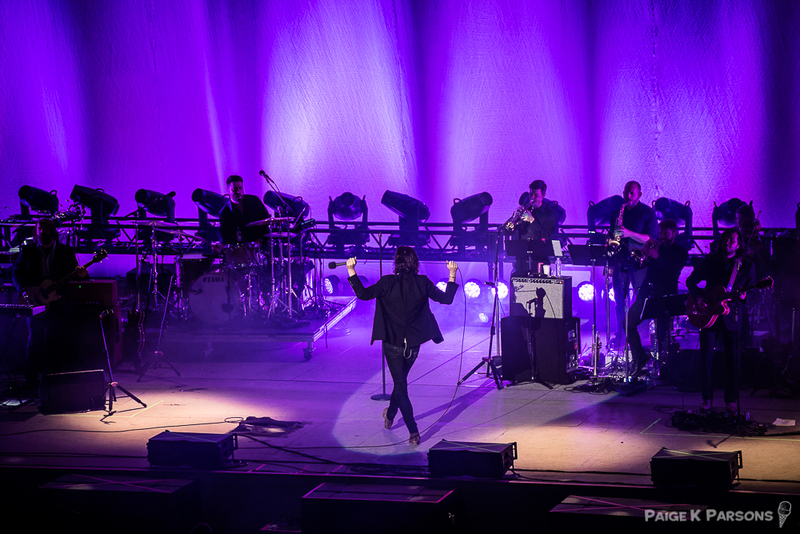 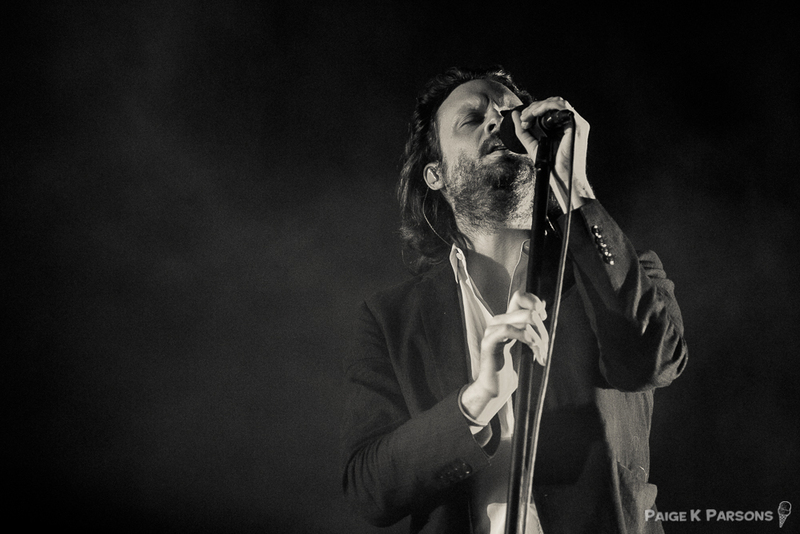 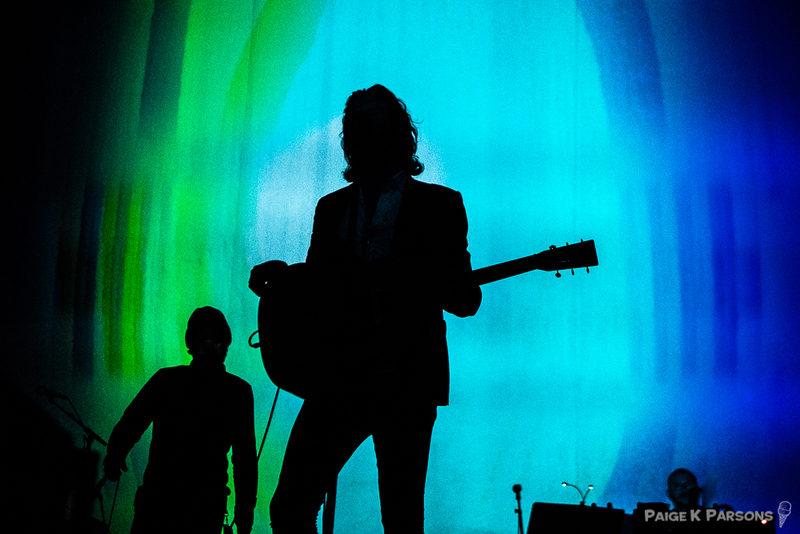 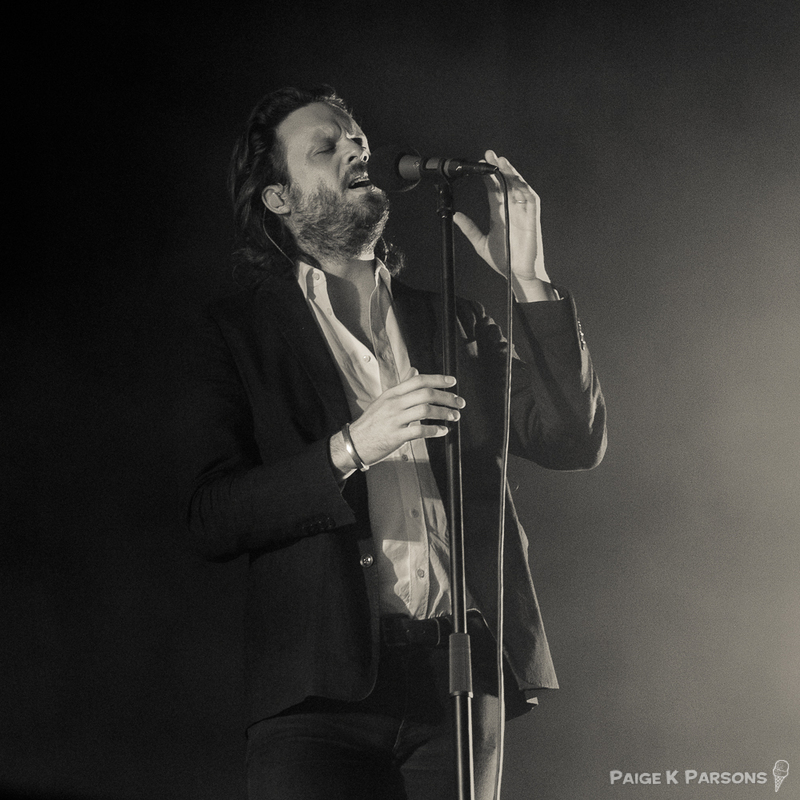 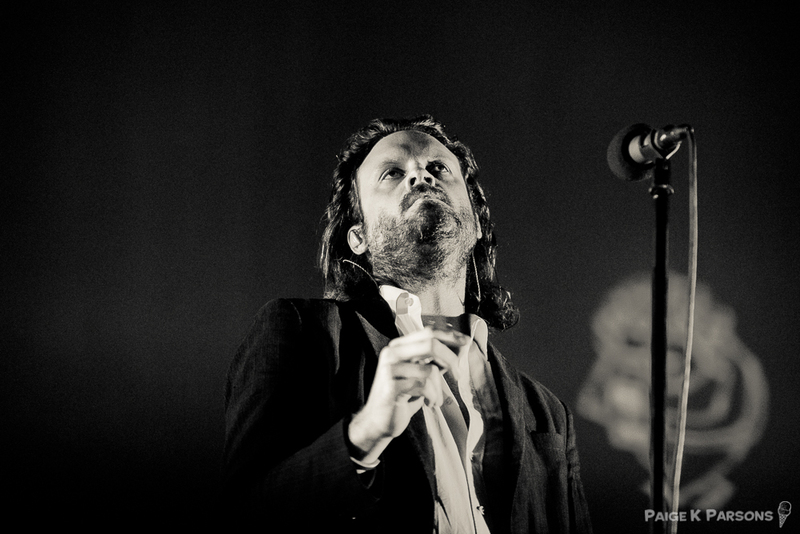 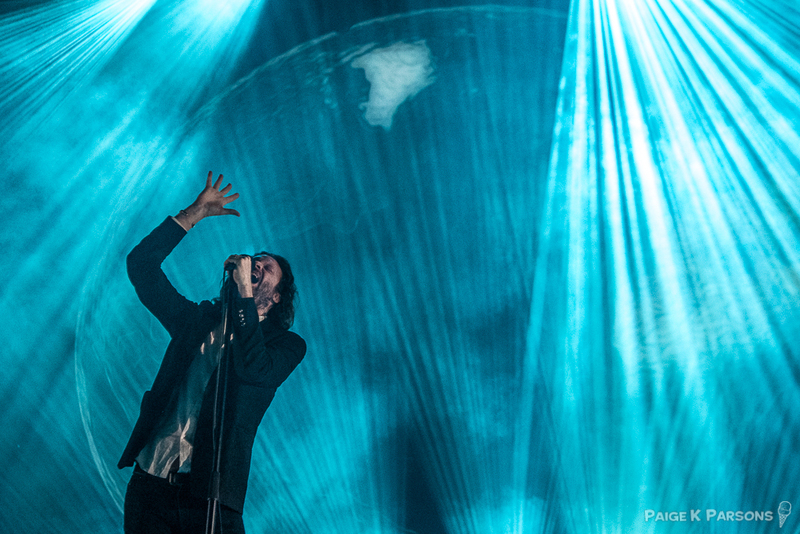 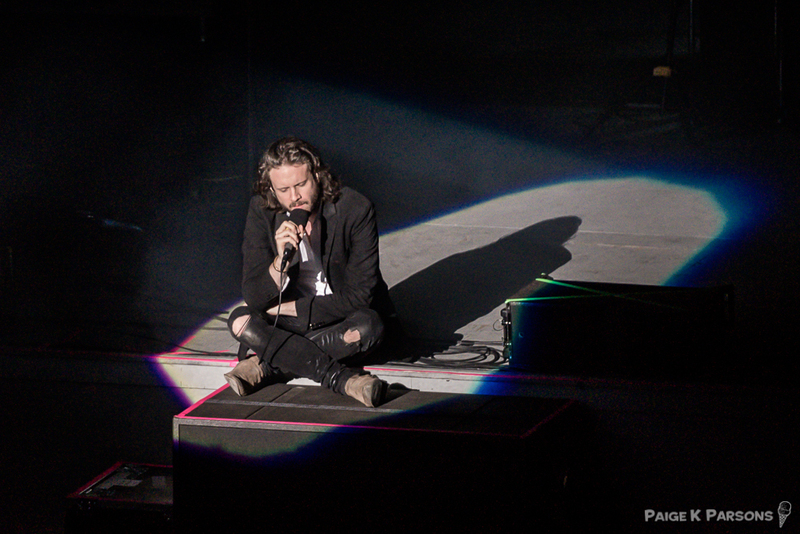 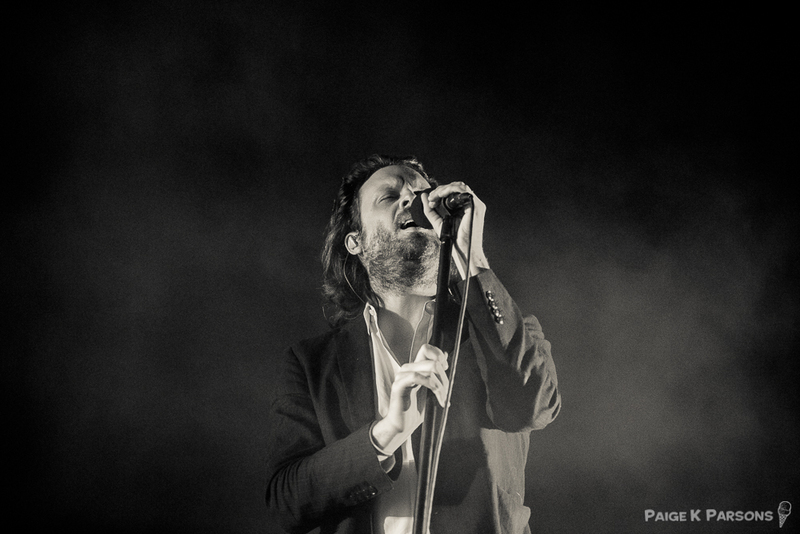 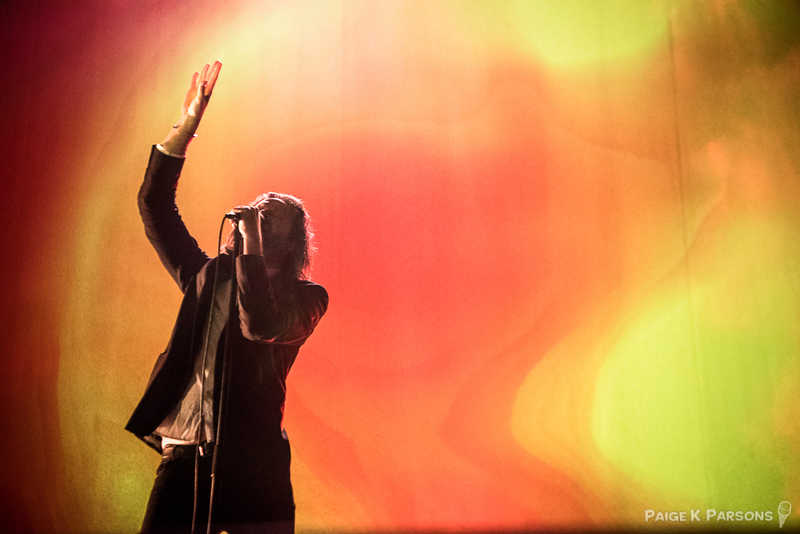 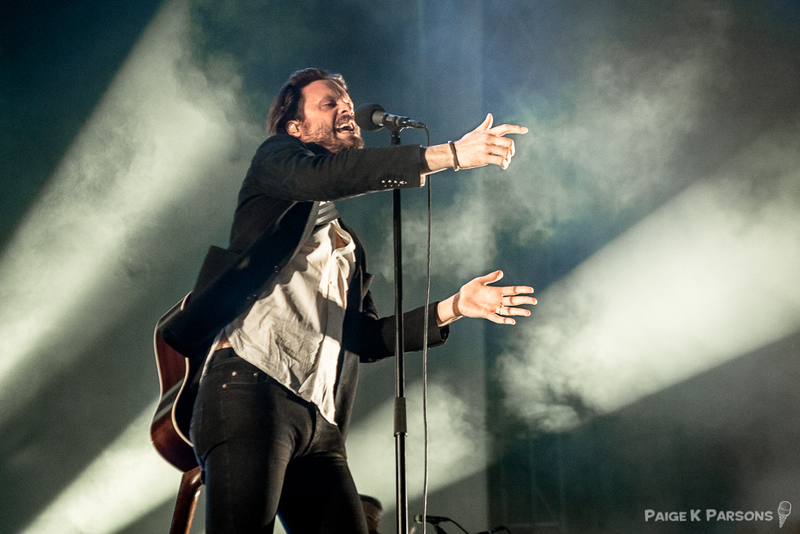 Father John Misty at The Greek in Berkeley on October 7th, 2017. 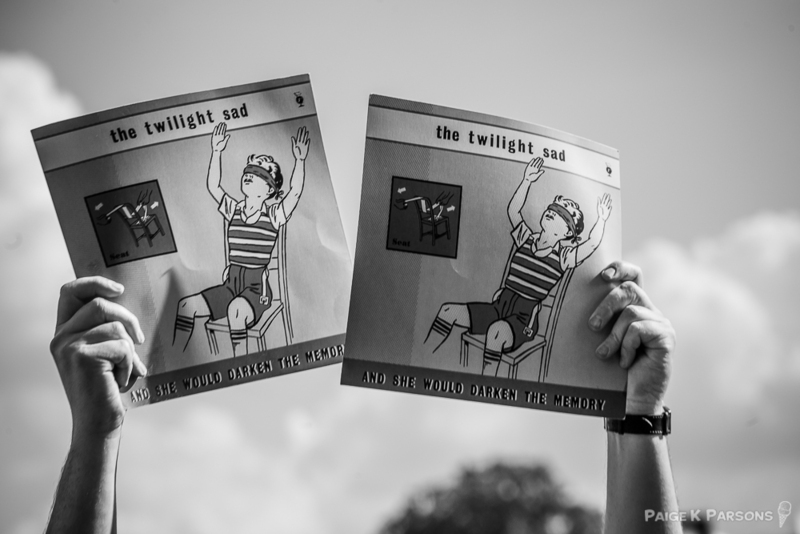 Photographed for Anotehr Planet Entertainment by Paige K Parsons. 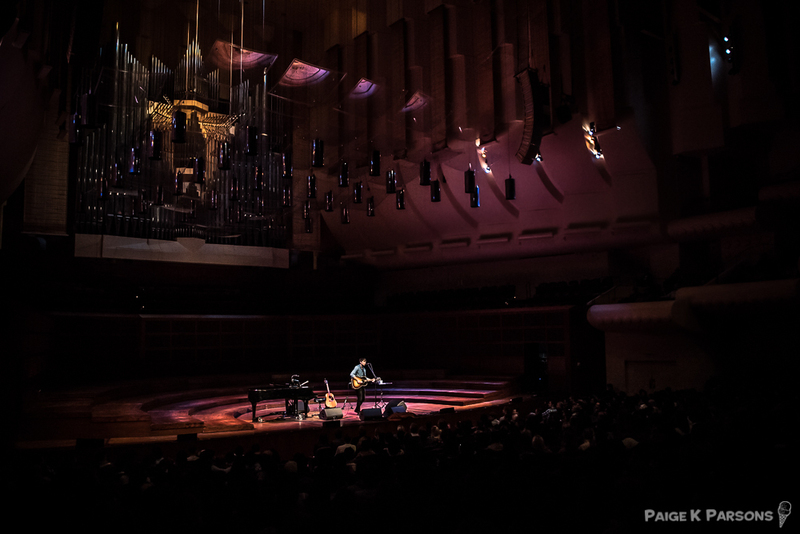 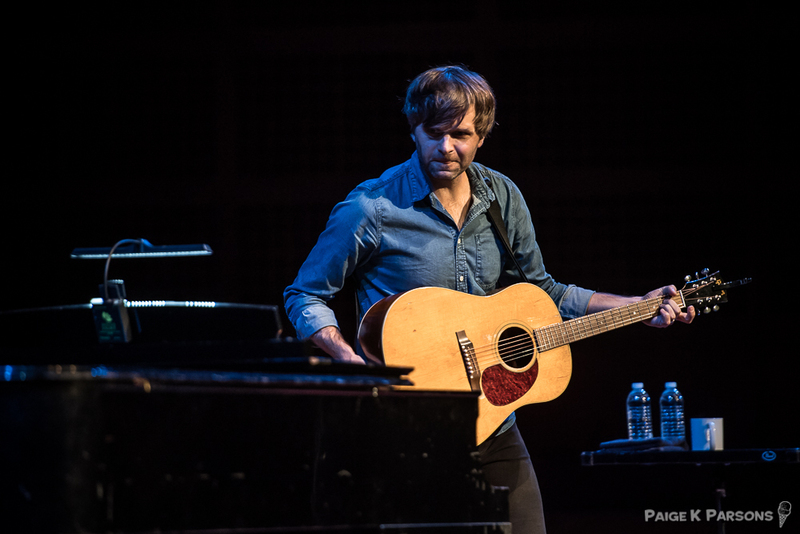 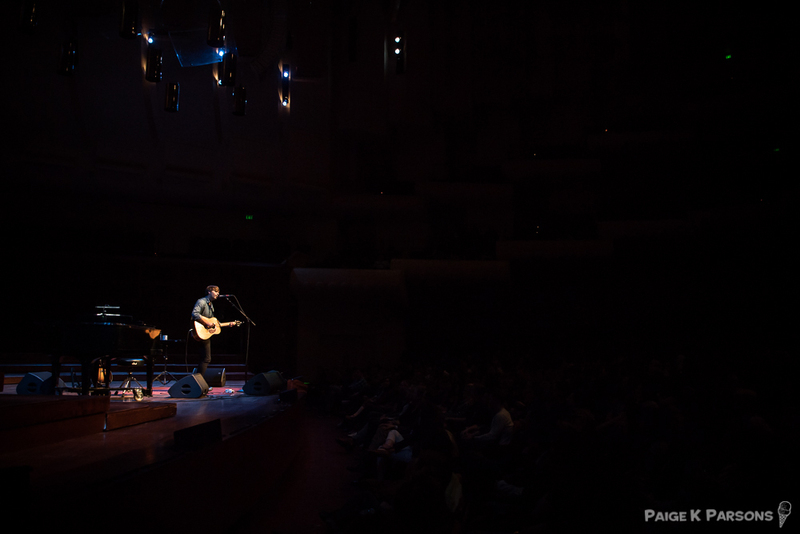 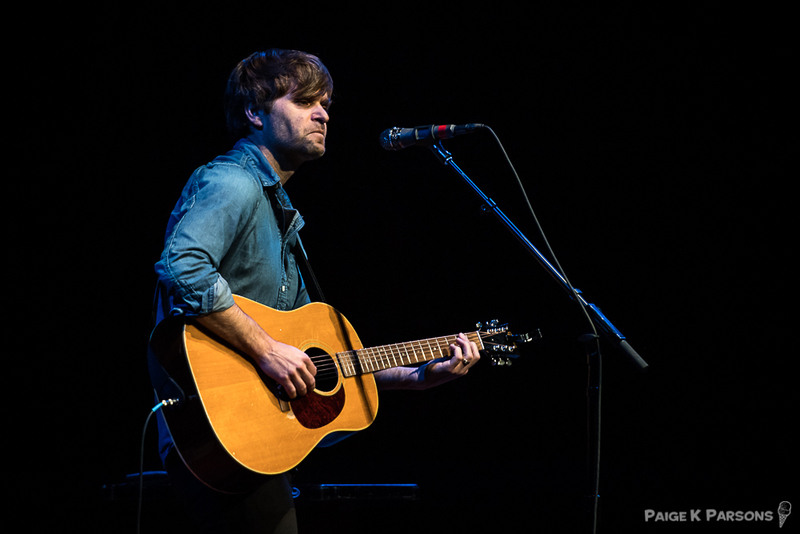 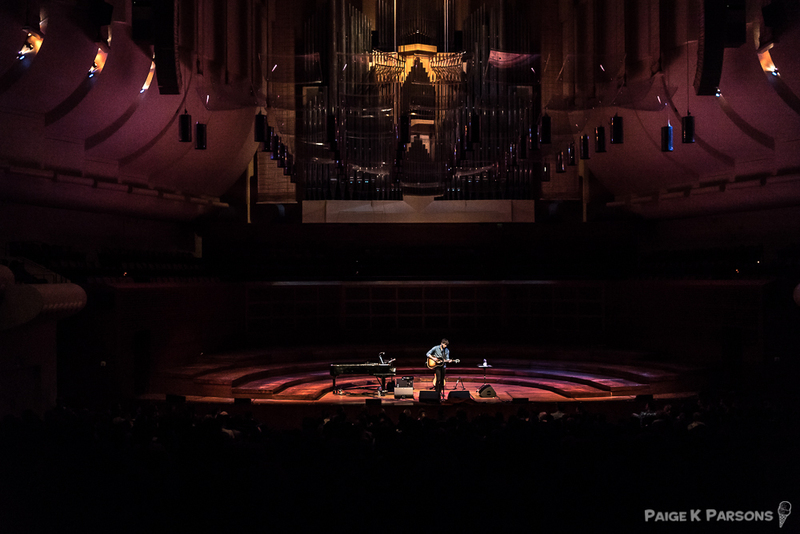 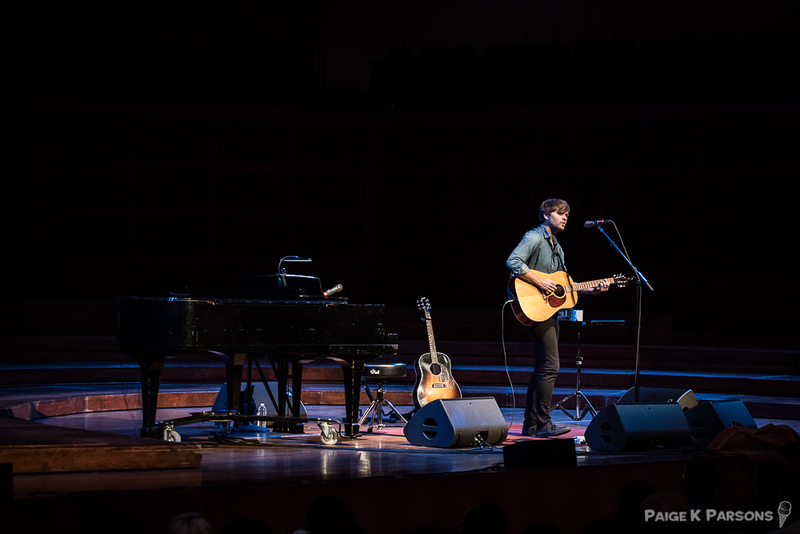 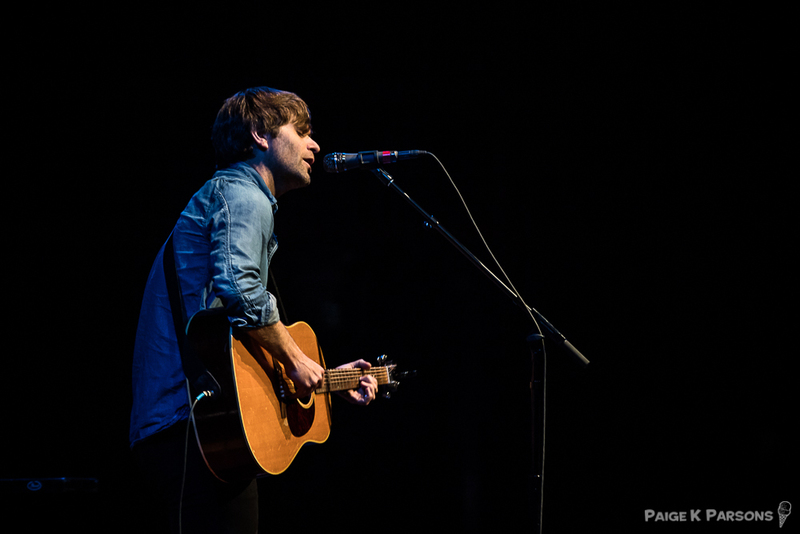 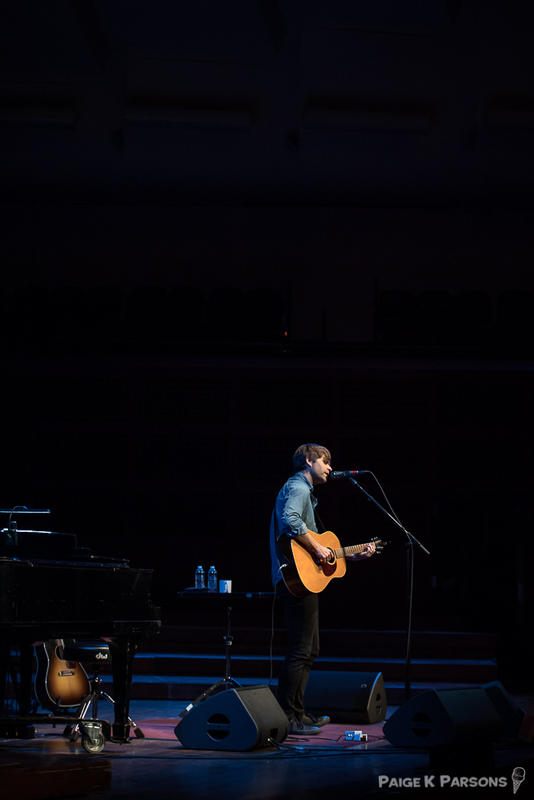 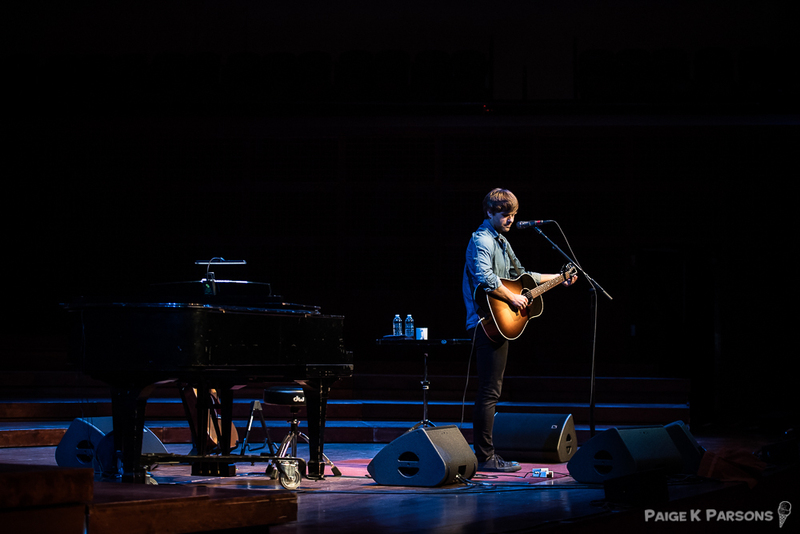 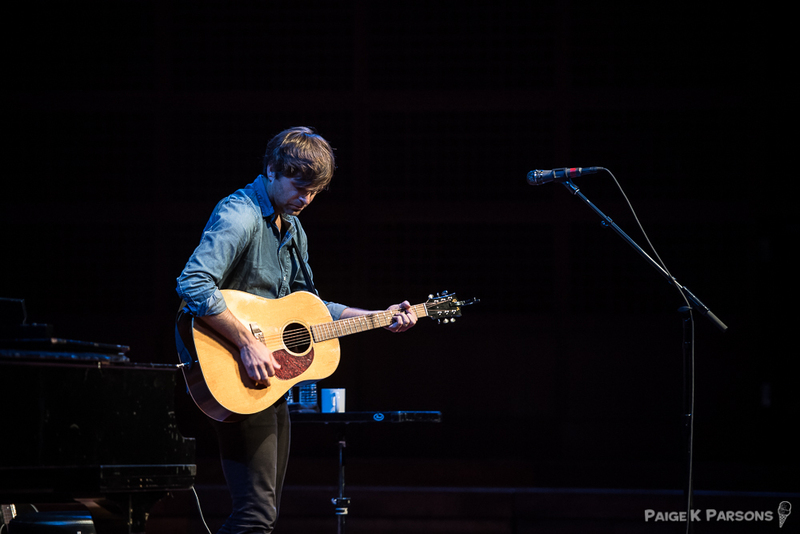 Ben Gibbard played a hauntingly beautiful show at Davies Symphony Hall on June 8th, 2017. 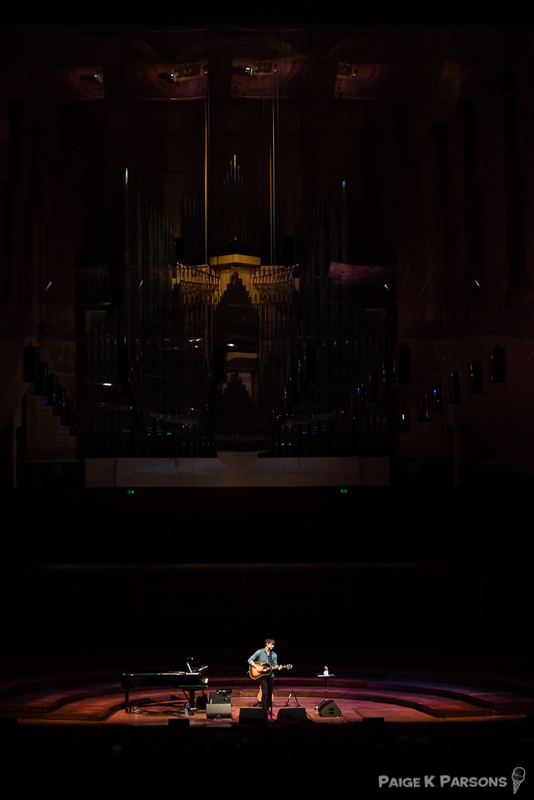 When you think “Symphony Hall” you don’t normally think intimate. 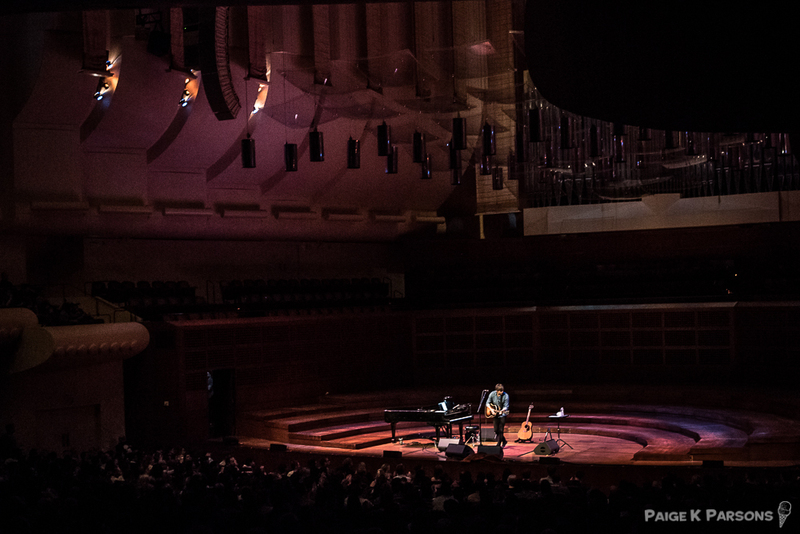 However the acoustics were so sublime, that even from the second balcony, it sounded as if Ben was playing three feet in front of you. 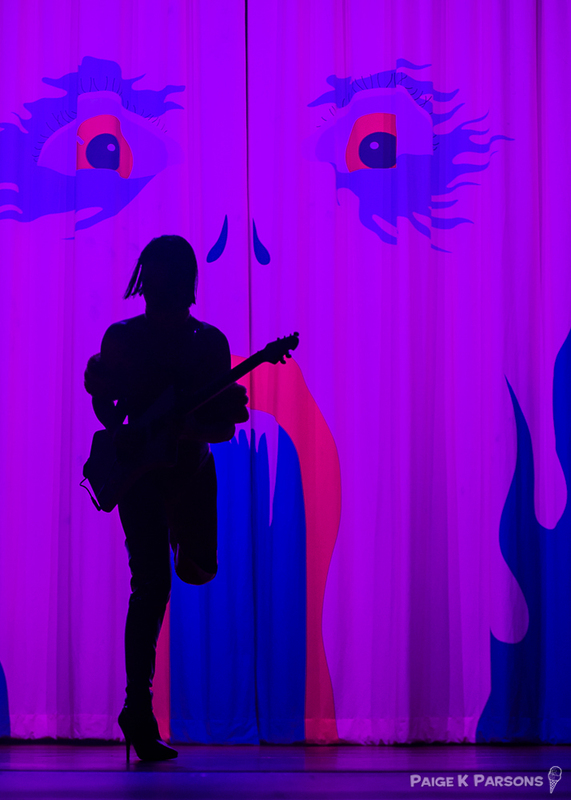 Such a memorable show. 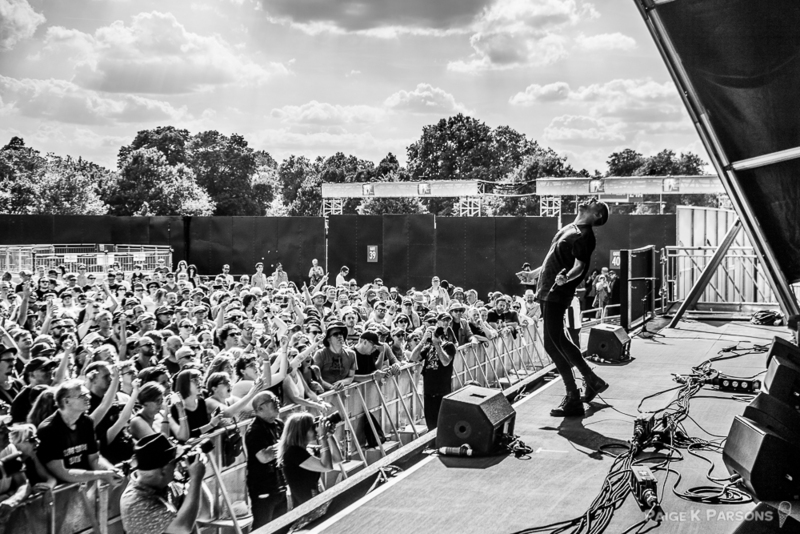 Shot for Another Planet Entertainment.